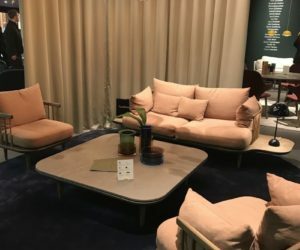 Being the first event focused on interior design this year, sets the trends and shows us the directions to follow in the sector of furniture and interior décor. 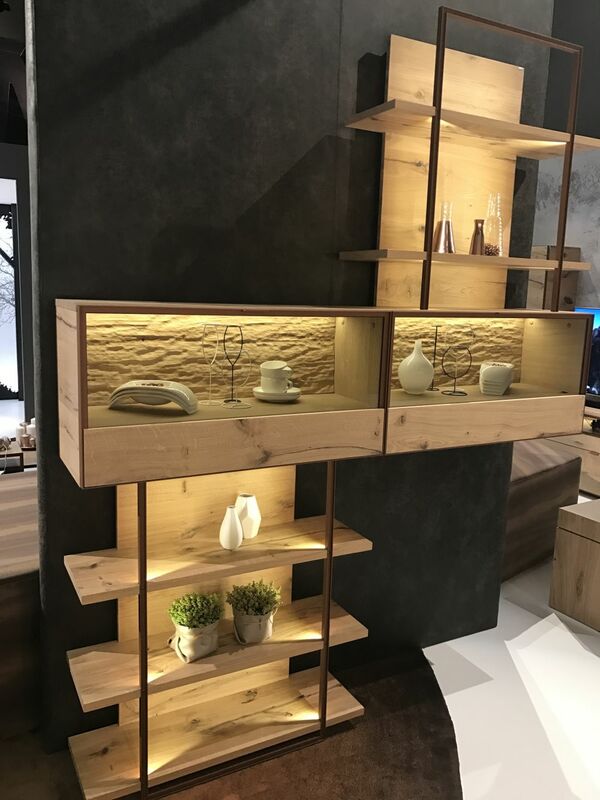 The IMM 2017 highlights offer us a great opportunity to catch a glimpse at the newest innovations and ideas that will define this year’s trends and to find fresh designs for every style, every room and every requirement. 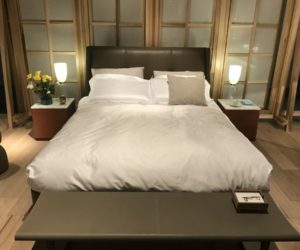 After IDS Toronto we’re back with news from IMM Cologne and we can’t wait to also cover the Maison & Objet Paris highlights. 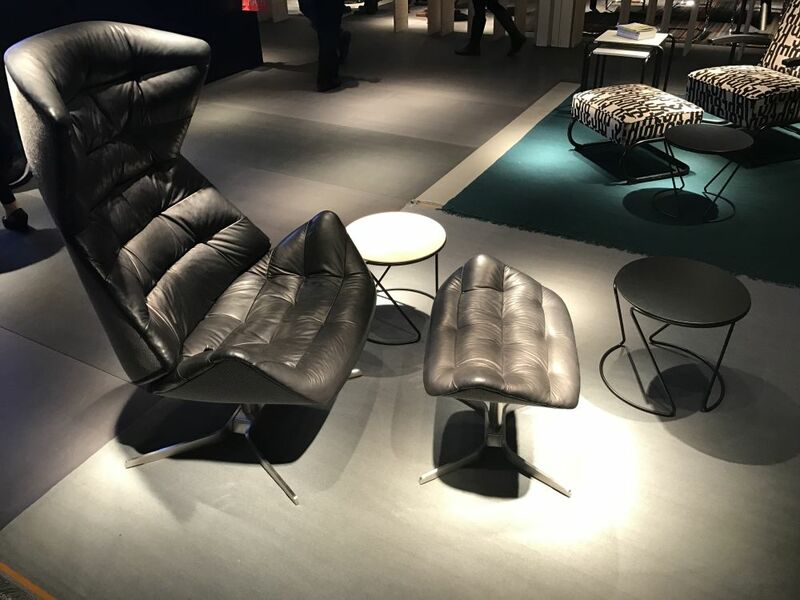 IMM, the world’s most important furnishing fair, , reaching a record number of visitors (150.000). 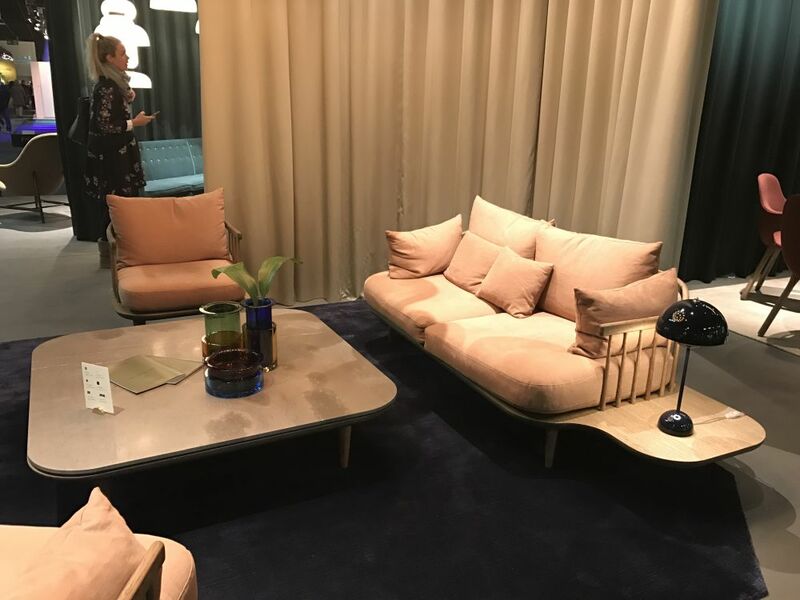 This year the event was featured in parallel with another great fair, , where more than 200 exhibitors from 21 countries showed us all the newest improvements in this particular area of interior design. We visited both fairs and we’re ready to show you all the highlights and the latest trends. 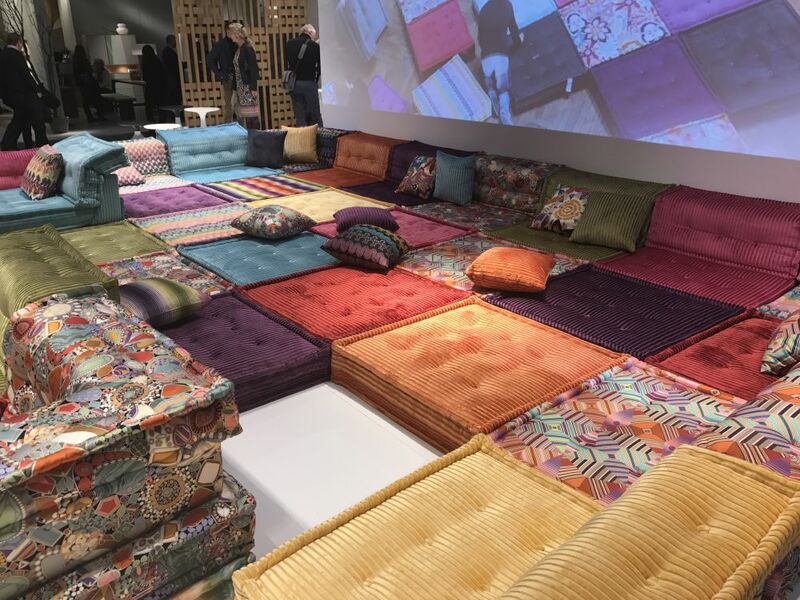 The next IMM Cologne edition will take place from the 15th until the 21st of January in 2018 and we’ll be there for more great ideas. 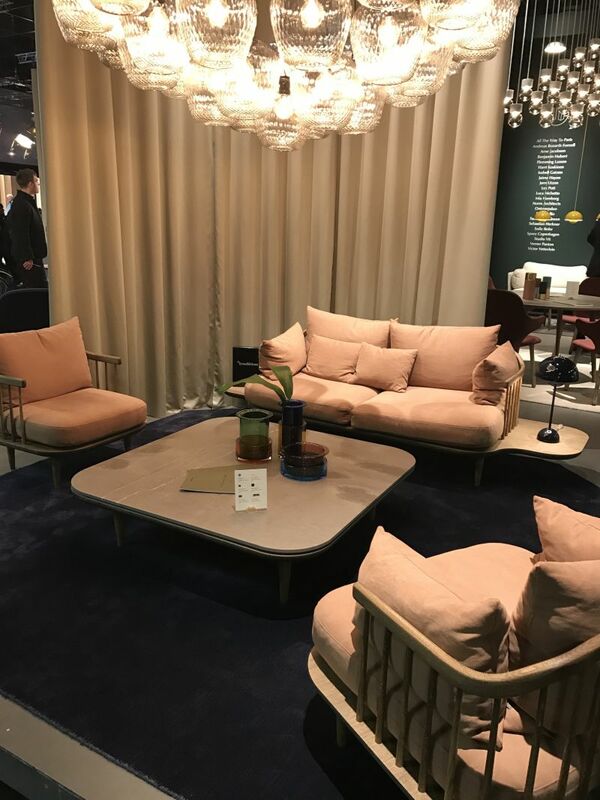 One of the exhibitors at IMM Cologne this year was &tradition, ready to impress with this beautiful match, perfect for modern living rooms and lounge spaces. 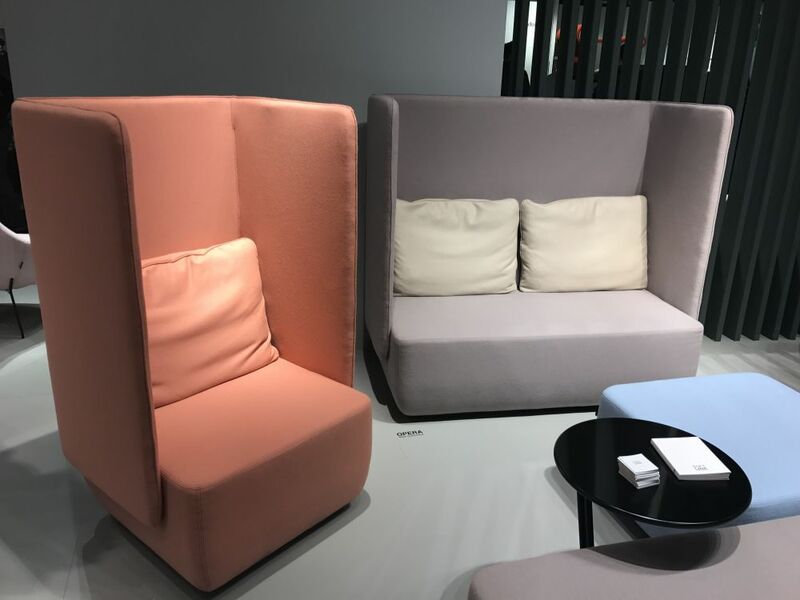 The by Jaime Hayon has the simplicity and sophistication of classical chairs with a hint of modern flair and the by the same designer has all the quirky features needed by an accent piece, whether it’s displayed in the living room, office or any other space. 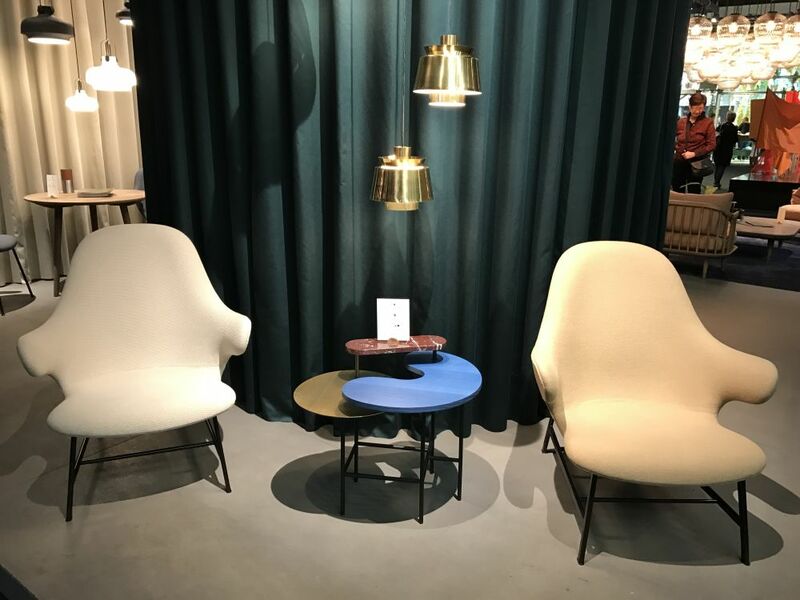 This wonderful duo was complemented by the designed by JØRN UTZON, displayed here with a copper finish. Products such as the inspired us to focus more on the natural qualities of the materials. 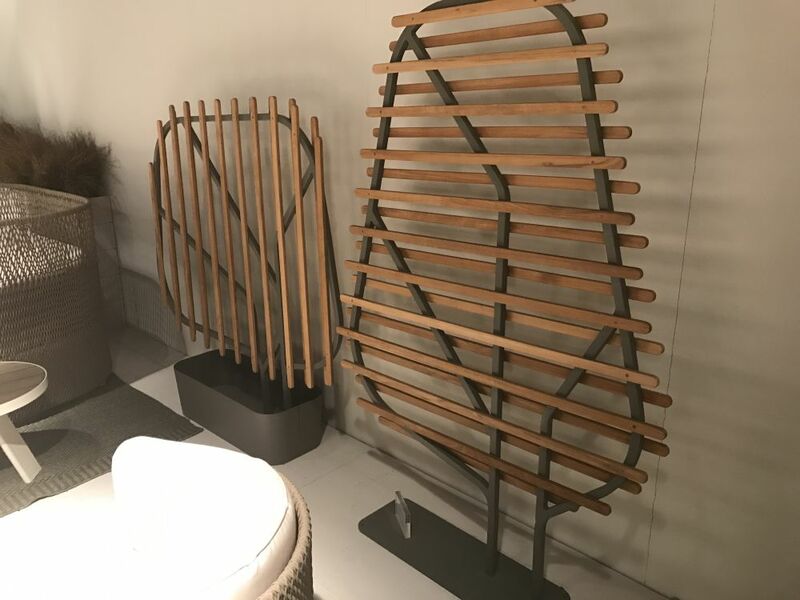 This is a series that plays with the contrasts between wood and iron and combines them with natural forms and textures. 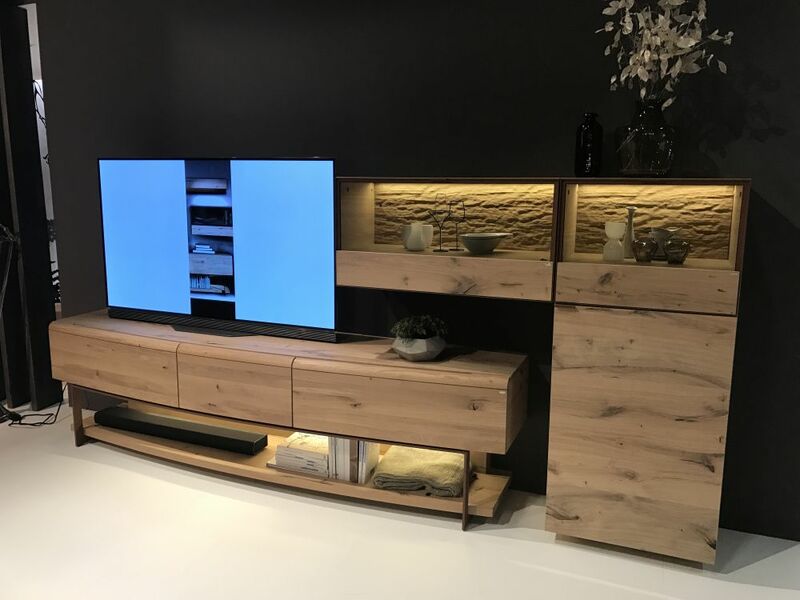 The result is a living room furniture collection that goes back to the basics and brings back the untarnished charm of the wood. 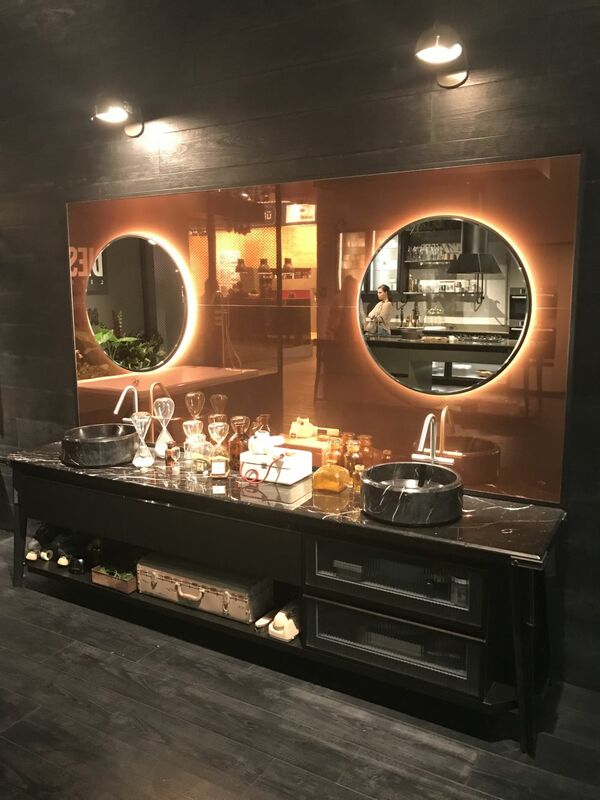 We were also mesmerized by the wonderful products exhibited by . 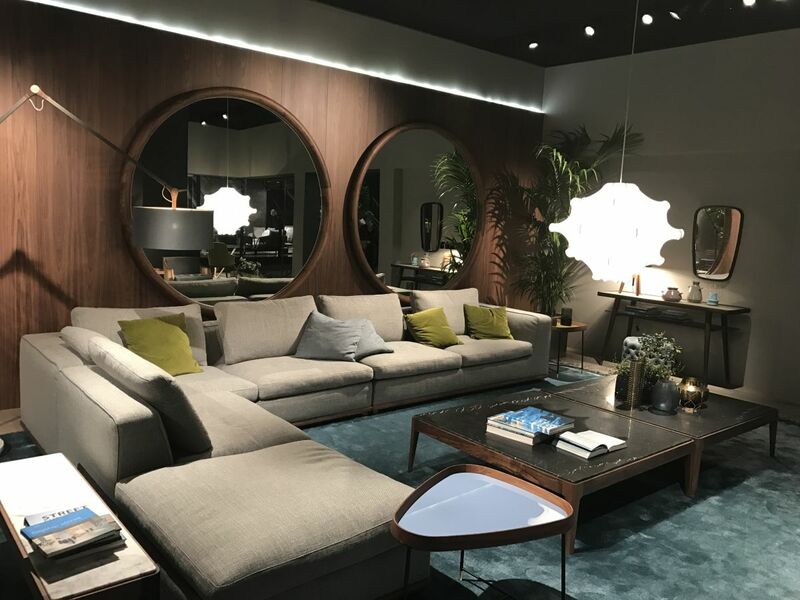 They displayed a wonderful arrangement of comfortable sectionals, chairs and ottomans highlighted by large and elegant wall mirrors, graceful consoles, coffee tables and side tables, all displaying a lot of charm, elegance and refinement. Designer Shi-Chieh Lu showcased a wonderful piece called . 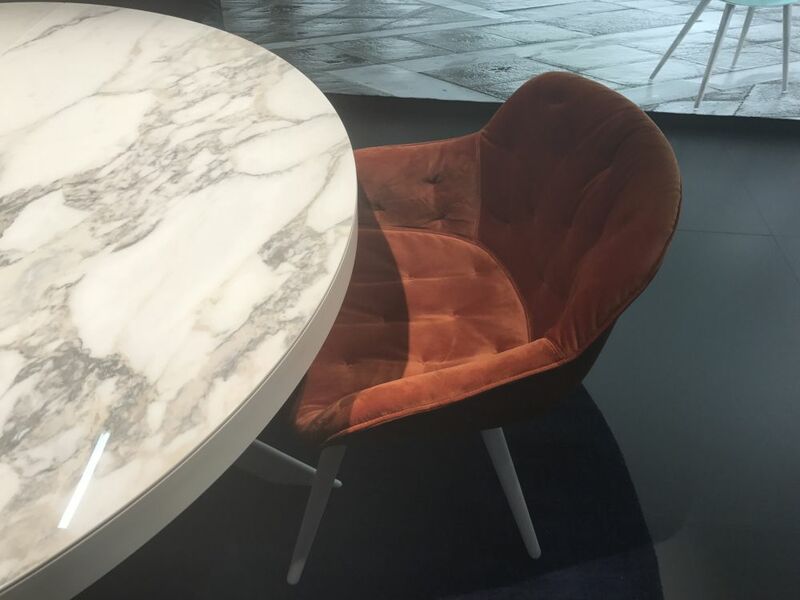 The unusual name is explained by the design of the chair, which is inspired by the historic Ming chair. Its modern version displays simple lines, simple geometry and a fluid and continuous form with graphical character. The frame is made of tubular steel and the seat is a continuous shell attached to the top and sides of the frame. As a result, the chair floats. 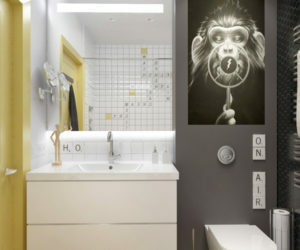 Another big hit was the designed by Space Copenhagen. A key detail is the slatted backrest which is part of a solid oak frame that contains the comfortable cushions. 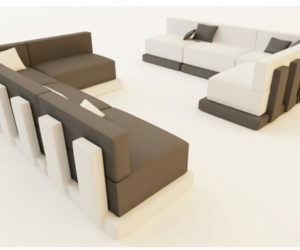 The platform on which the seat cushions are placed extends on the sides of the sofa to form two built-in side tables. It gives the impression that the sofa is ready to fly away at any moment, hence the name. 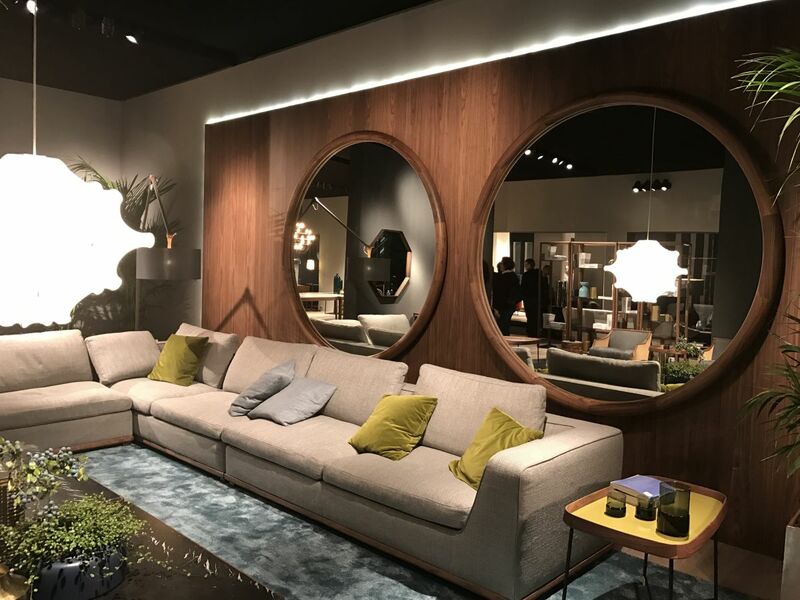 The sofa is actually part of a series which also including a , designed with the same type of beautiful wooden frame that ages gracefully and becomes more beautiful with each passing moment. 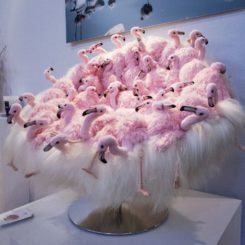 This is the chair and its matching pouf. It’s a piece designed by Satyendra Pakhalé which has an irresistibly beautiful form, with a high back and curved armrests that wrap around the seat. Leather covers the back of the chair, creating a protective shell around it. 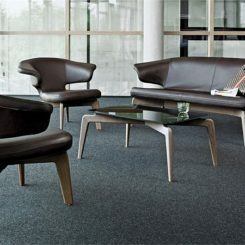 The new fabric and leather versions emphasize the simplicity and fluidity of the design. 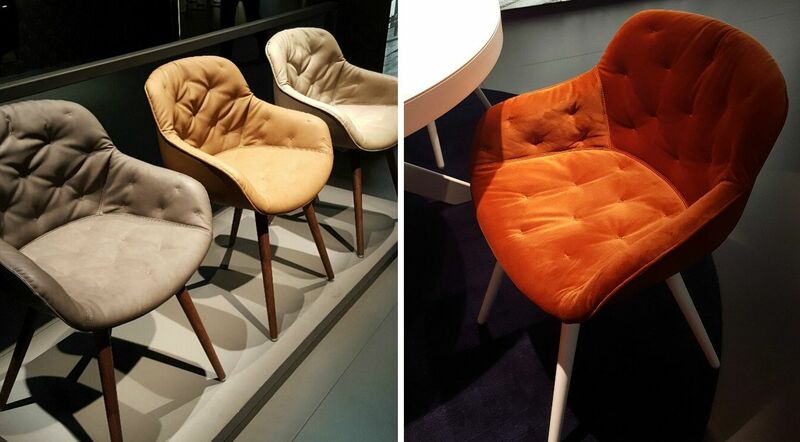 If the design of these chairs looks a bit familiar that’s because it’s based a classic style. The chairs combine modern and traditional features and materials into a design that’s unusual, comfortable, eye-catching and versatile. 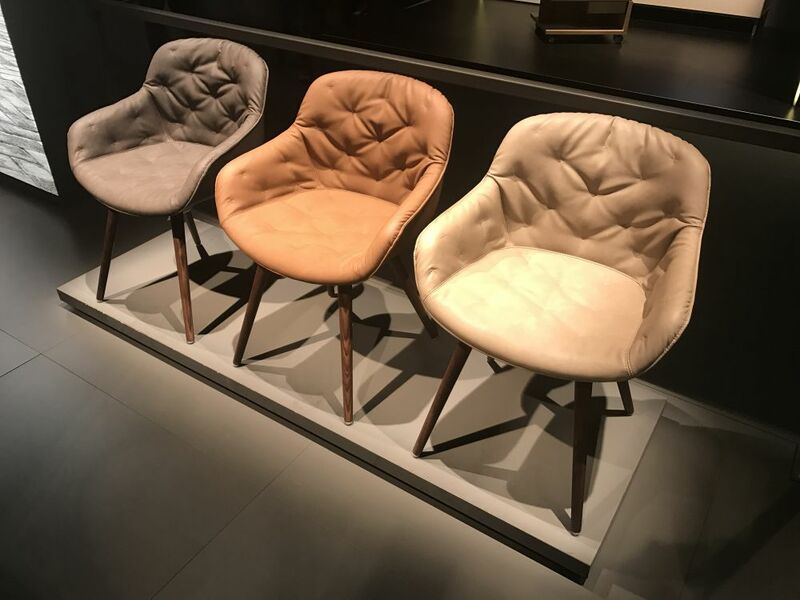 The chairs have soft padded seats and backrests, leather edging and fabric-covered shells that unfold like the delicate wings of a butterfly. Five standard color combinations are available and they’re all exquisite. 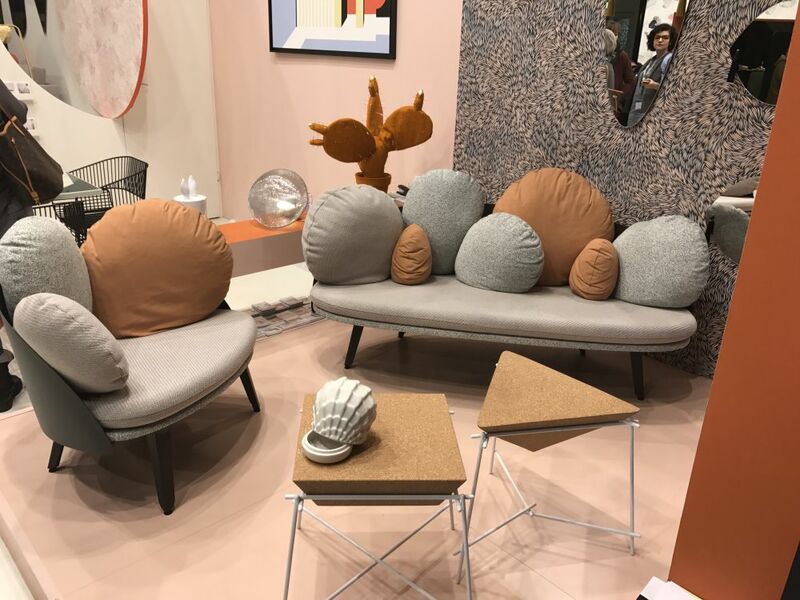 The intriguing creation of designer Patricia Urquiola was also present at the fair. 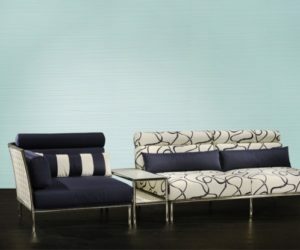 We’re talking about the system which is a series of three sofas that can be used individually or as a set. 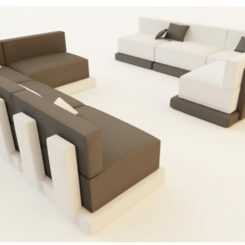 The modular trio includes an end unit, a two-seater center module and a corner piece. Matching ottomans and tables are also available. 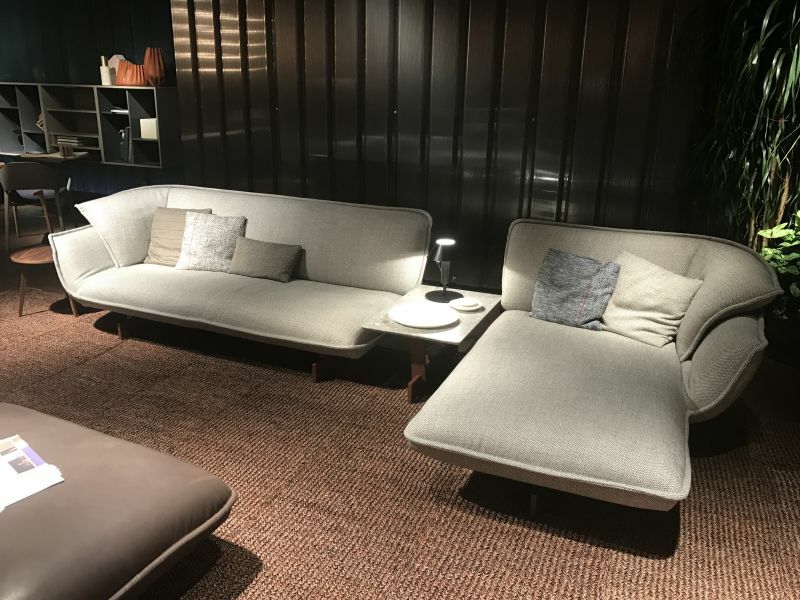 Designer also embraced modularity when creating the 202 Otto series, a collection that includes two-seater and three-seater sofas, chaise lounges, armchairs and several modules which can be put together to create custom seating arrangements. This is the three-seater sofa version. 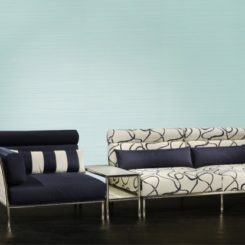 It has a structure made of extruded aluminum and polyurethane foam cushions covered in either fabric or leather. 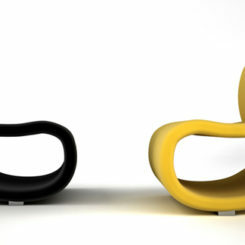 This year also brings us eye-catching pieces such as the chair designed by Piergiorgio Cazzaniga. 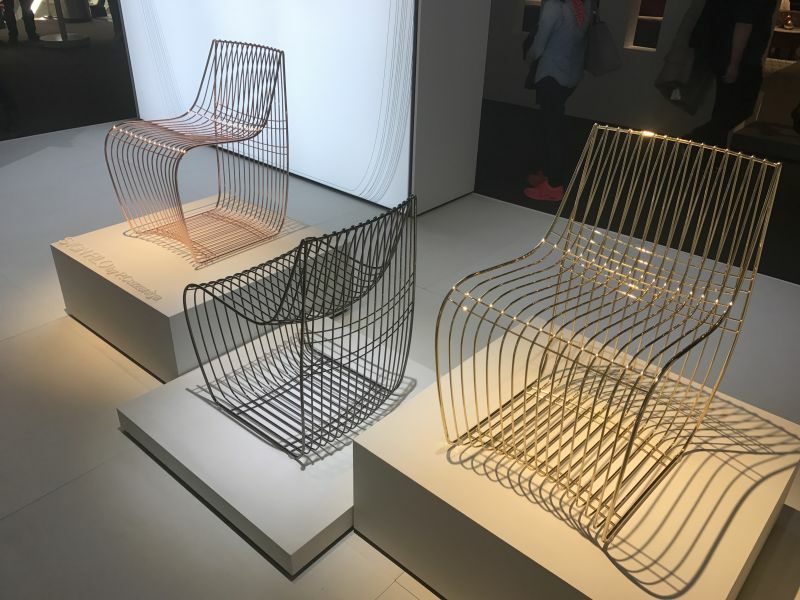 The cool thing about the chair is its graphical design made of sleek metal wires. The wire structure of each chair is assembled by hand with over 226 sealing points. 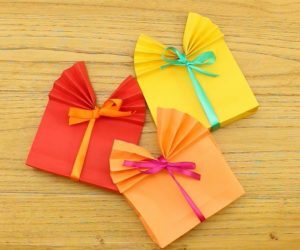 Although it looks delicate, lightweight and ready to bend, the structure is actually very strong and sturdy. 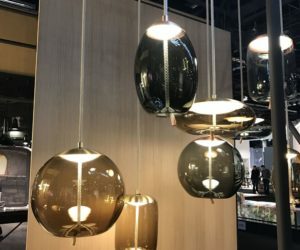 IMM Cologne also featured some of the newest creations from . 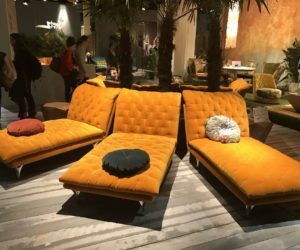 We got to see some really cool lounge seats with designs that bring back the aristocratic and royal charm of classical and traditional furniture. The padded frames have a certain exotic flair and the strong colors emphasize that even more. 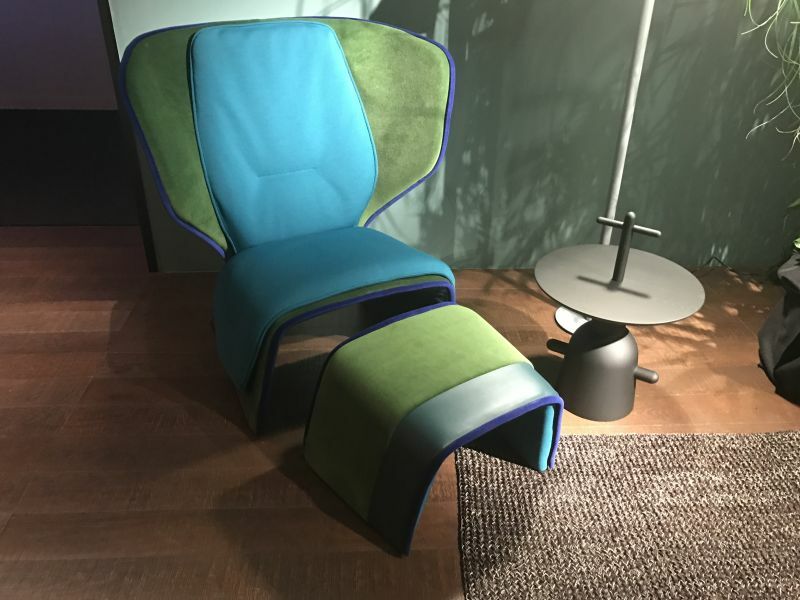 This is , a really elegant chair from Ethimo. 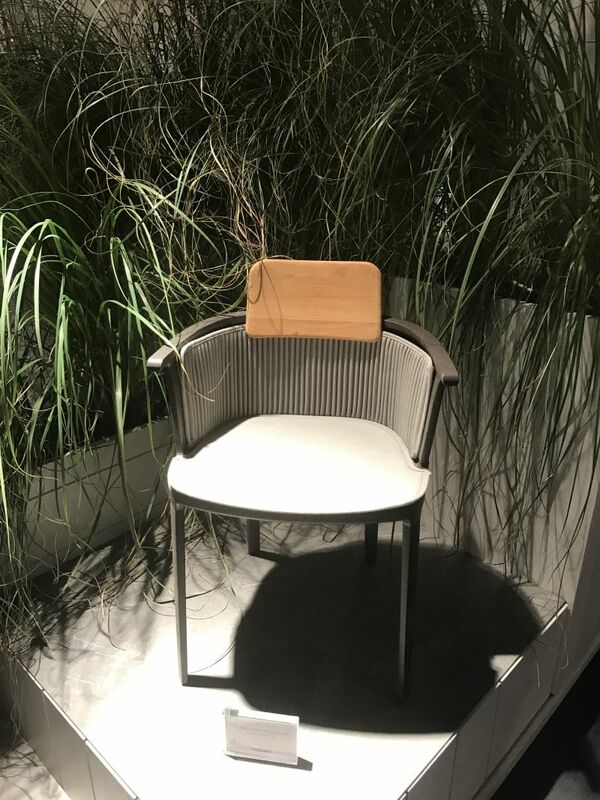 It was designed to serve as a dining chair and it has an aluminum frame. The most intriguing part of its design is the backrest which has a natural teak support attached to the frame. This support is meant to offer comfort and to allow the user to maintain a correct position while seating. Speaking of stackable and practical chairs, there’s also another wonderful example that we came across at IMM. 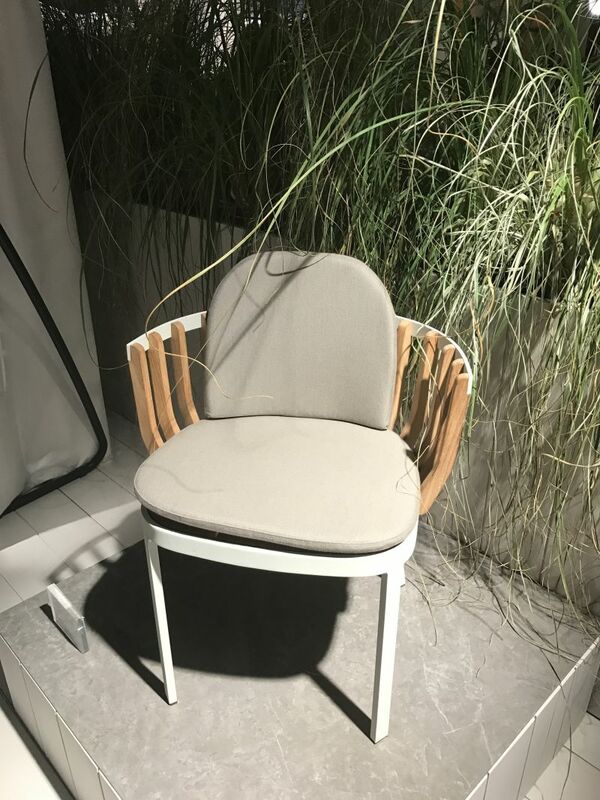 It’s called and it’s a really beautiful chair, simple and versatile enough to be used in a variety of settings and decors. 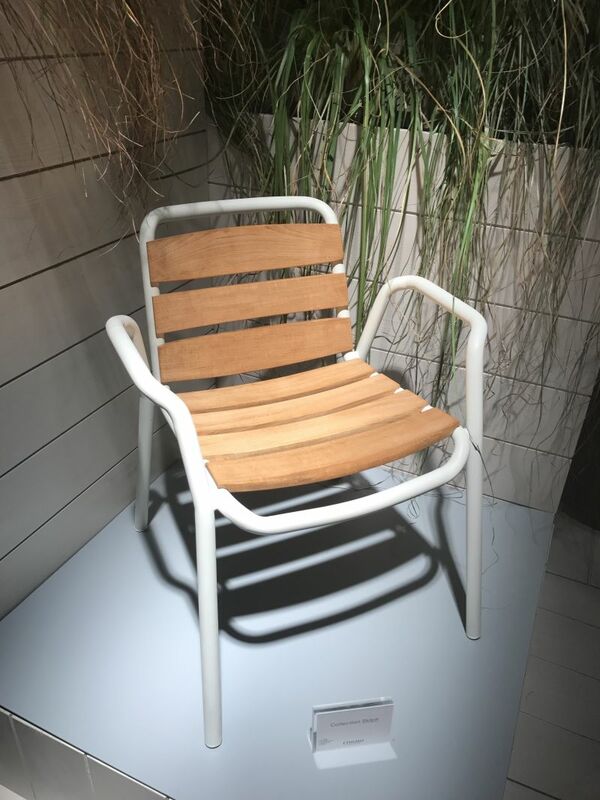 Its main use is as a dining chair and given its design it’s easy to imagine it out on a deck or terrace. 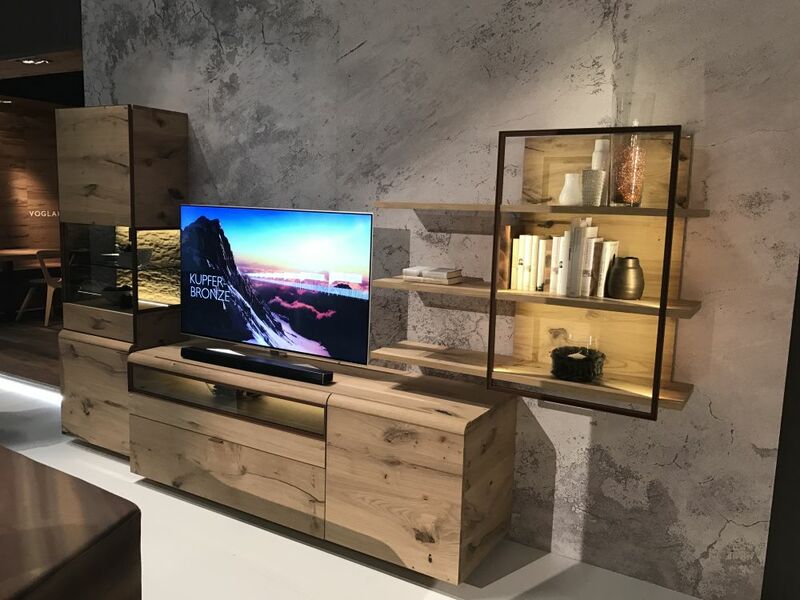 It seems that the combination of wood and metal is a popular one amongst modern furniture. One of the examples is the Swing dining chair. It has a frame made of aluminum and teak wood. 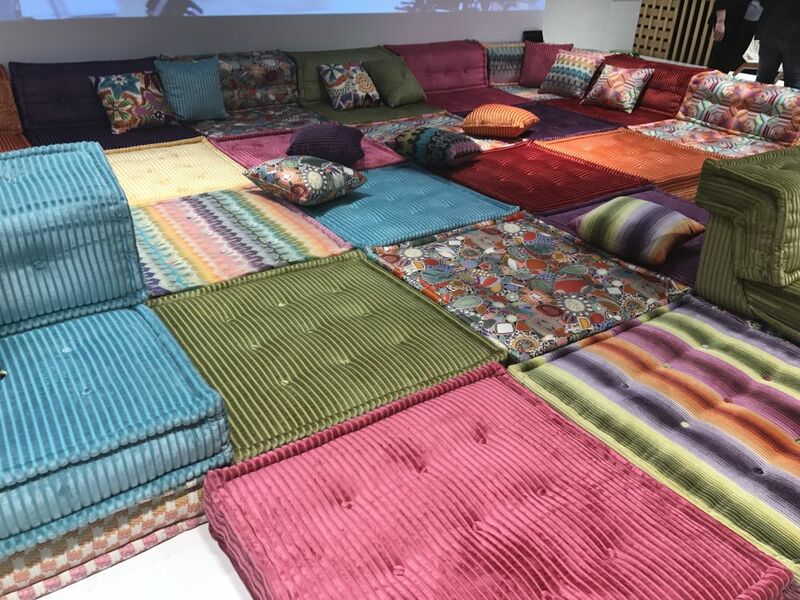 But the design only becomes complete when the textile cushions are added. The design as a whole is a well-balanced one worthy of any modern decor. 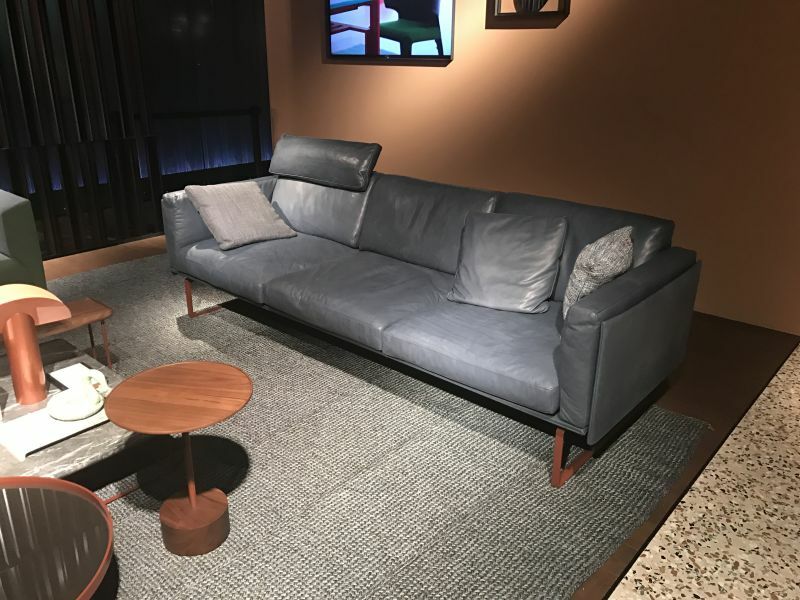 A lot of modern sofa designs are minimalist but also very focused on comfort. The is one of the best examples. 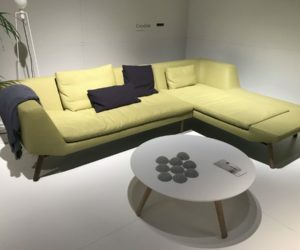 It’s a three-seater high back sofa with a design that makes look really cozy and comfortable thanks to the curved shape of the backrest and the fact that it doesn’t look robust despite its structure. 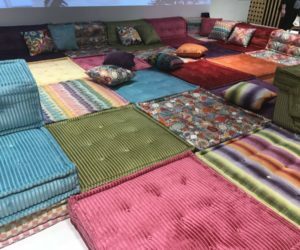 was present at the 2017 IMM Cologne fair with a series of colorful and cozy seating arrangements composed of casual sofas and modules that can be used as individual floor cushions. The really cool thing about the series is the flexibility and versatility that comes with it. The collection was designed by Hans Hopfer and the elements are stitched by hand. One of the things that we loved most about the chair is its versatility and the fact that it can look wonderful when combined with a dining table but also when displayed in the corner of a bedroom or next to a sofa in the living room. This love easy chair has a wooden frame and an upholstered seat available in a variety of materials and finishes. We were also impressed by the refined and comfortable nature of the series. 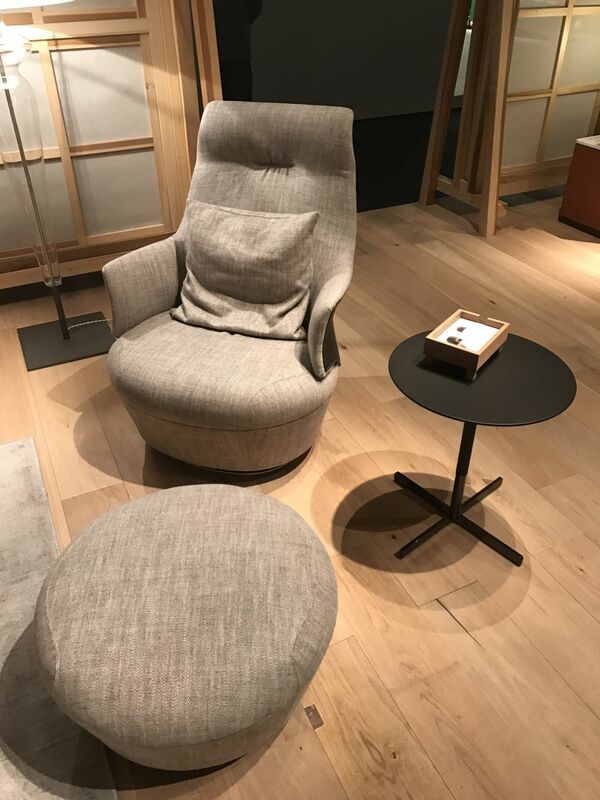 This seating unit has a low backrest and a simple profile that puts together clean, straight lines and gentle curves in order to look sleek, lightweight and chic, the characteristics of a modern interior design. 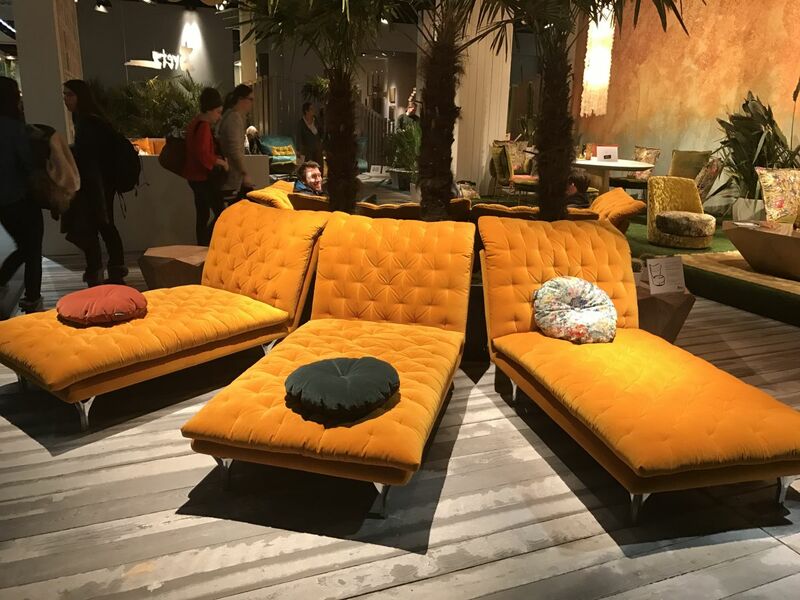 The sofa is available with wooden or steel legs. Despite the contrasting nature of the forms, materials and colors displayed here, the overall combo is very well balanced and really harmonious. This arrangement puts together the sofa and armchair with designs that are reminiscent of clouds and two eye-catching side tables, the and . 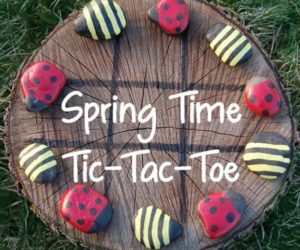 They both have cork tops and geometric designs. 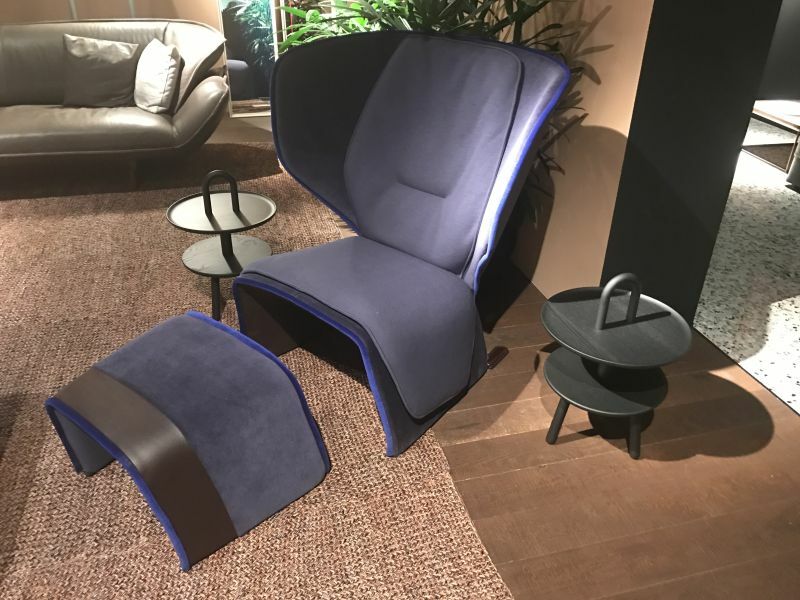 We also got to have a look at the new lounge chair from Farmstelle. The version featured at the fair was in black leather but several other options are available. The design is a perfect representation of comfort and style, reminding us of the classic Eames lounge chair. 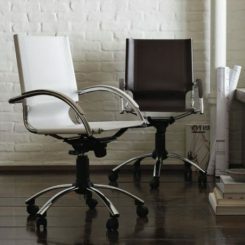 The design features a protective shell that offers a modern interpretation of the classic wingback design. 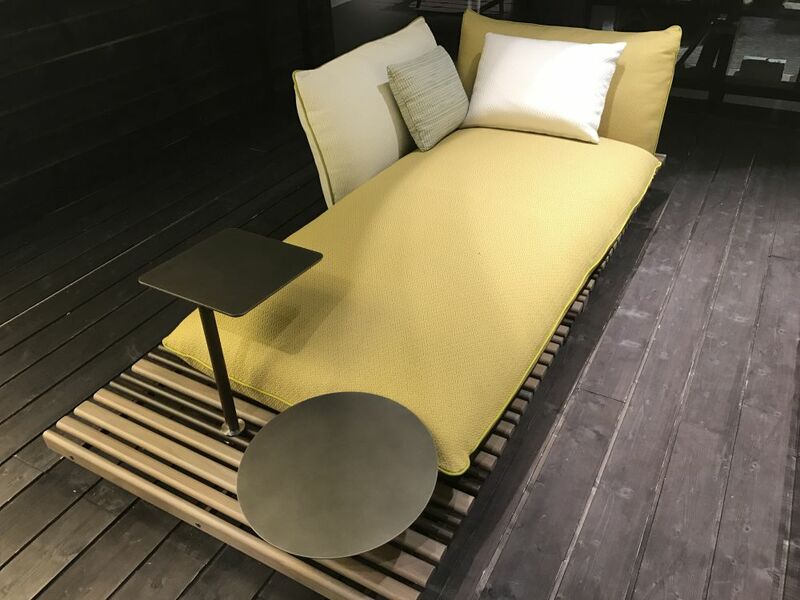 After a 15 year gap, returned this year at IMM Cologne with a wonderful outdoor collection called Open-air. 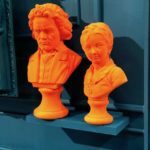 The series is designed by Chi Wing Lo and Loduvica + Roberto Palomba. 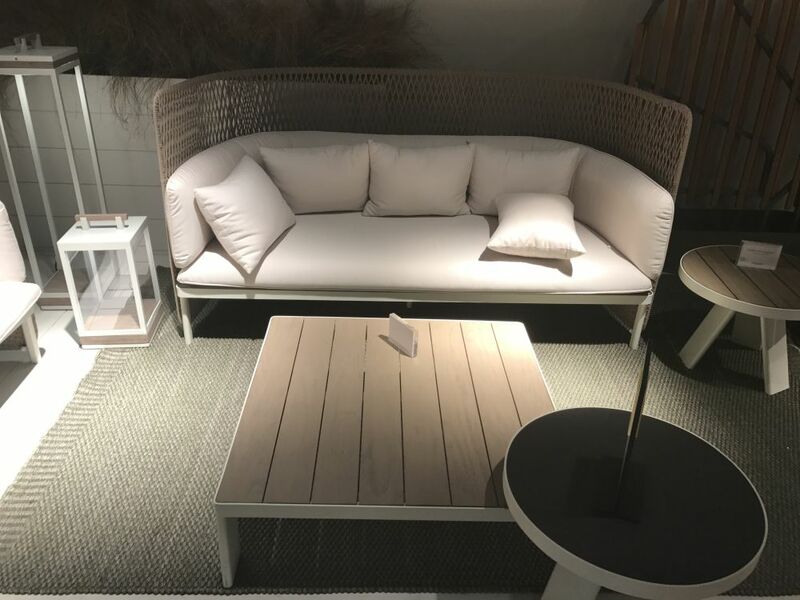 The collection manages to capture the informal and casual nature of outdoor furniture and to give it a sophisticated and refined twist. 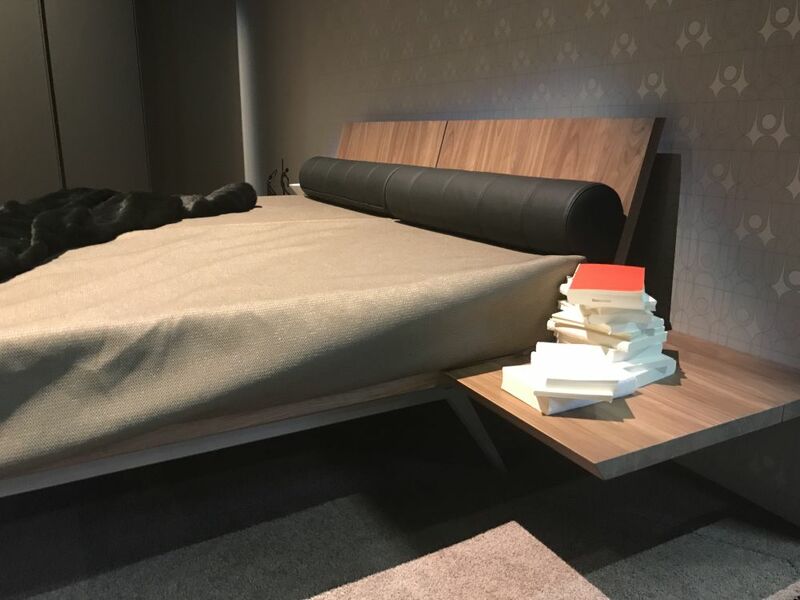 The units sit on wooden platforms and can be mixed and matched as desired. 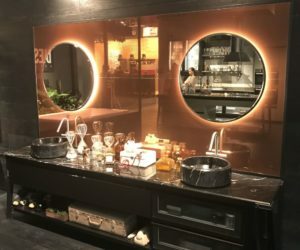 is a unit designed by Jean-Marie Massaud which inspired us to rediscover the elegant and sophisticated nature of the cocktail bar. 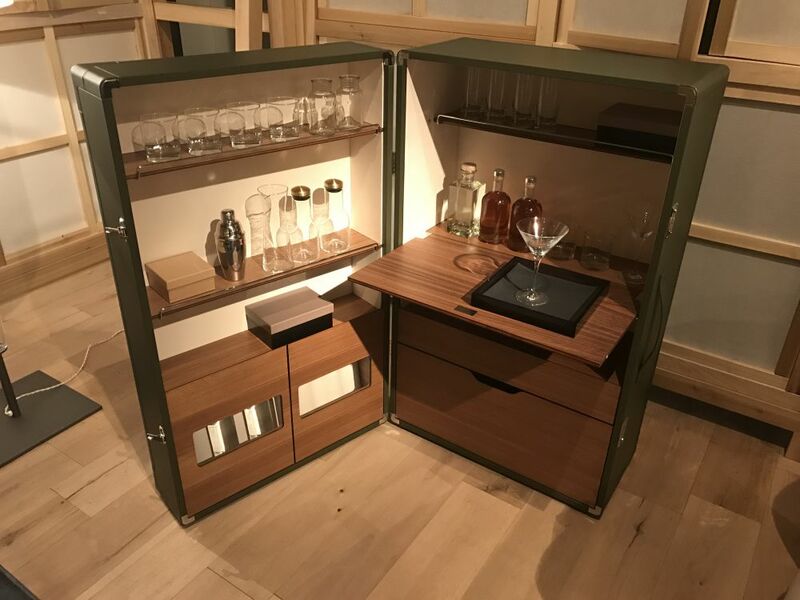 This cabinet is not only very stylish but also really practical, featuring wheels and a design that allows it to be closed shut very much like a large suitcase or a book. It has a classical click to close mechanism and a sleek external handle. The interior is well organized down to the smallest detail. 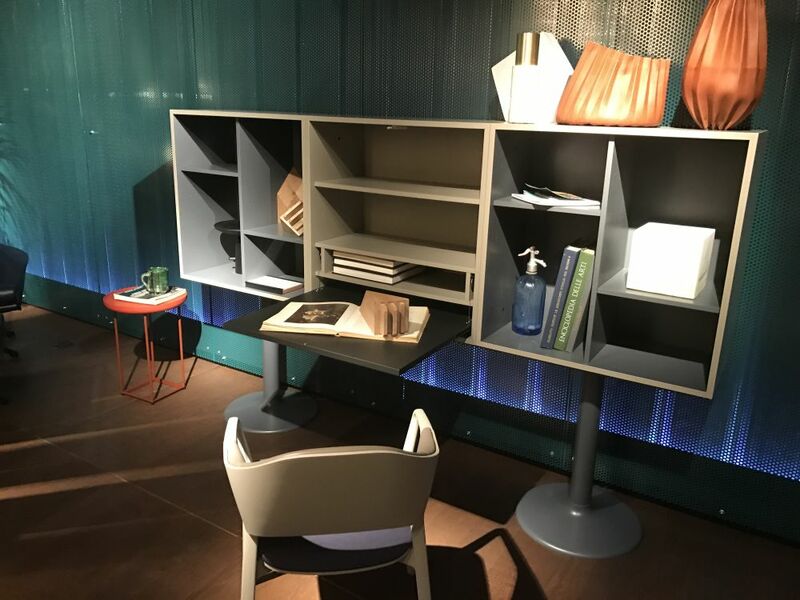 As always, Cassina was present this year at Cologne with a series of elegant and classical designs. The star was a modern version of the . This system of modular storage units never looked better. 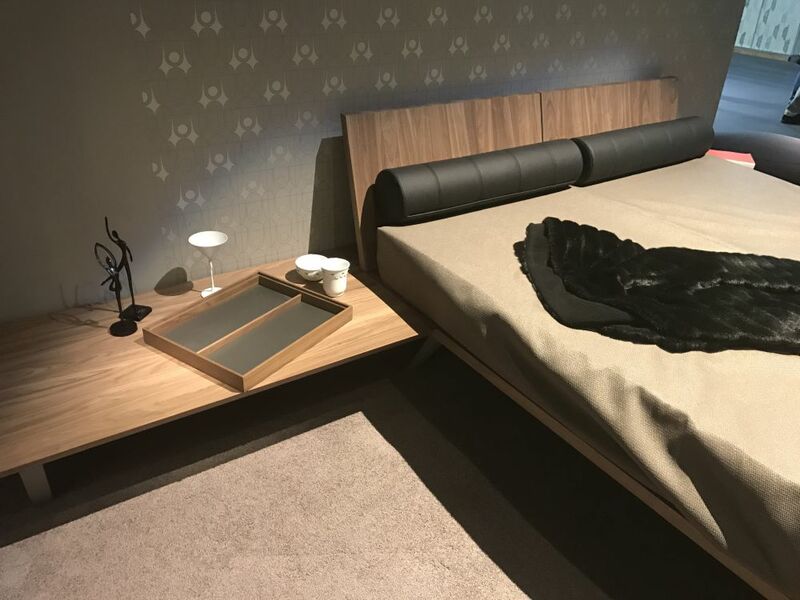 It combines flexibility with familiarity, maintaining some of the characteristics of the previous designs and combining them with new features and design details. 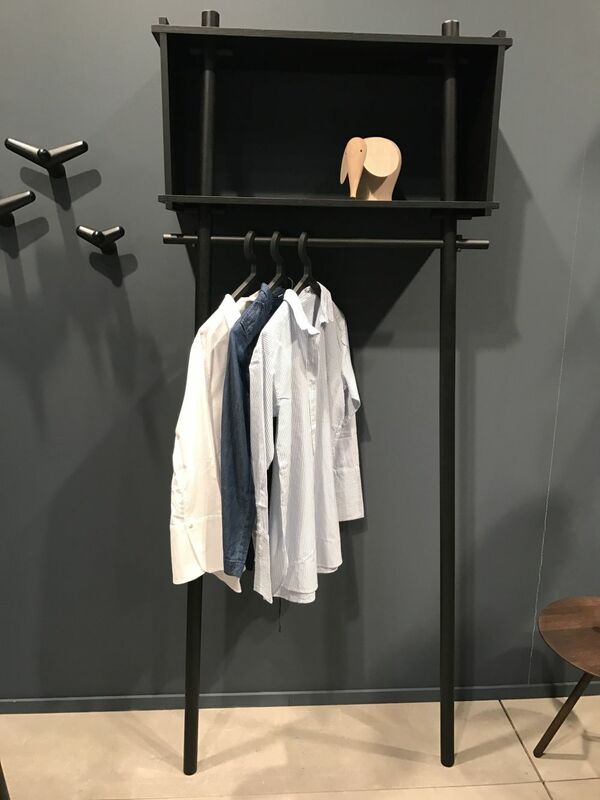 Something else that caught our attention at this year’s IMM fair is the unit, an interesting and simplified version or a wardrobe. 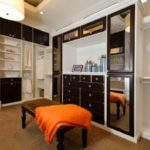 It’s a design with a lot of potential, being suitable for spaces such as the entrance, the bedroom or the walk-in closet. 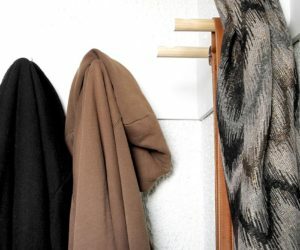 It combines a clothes rack and a simple box module and it can be used as a standalone piece or as an addition to a more complex storage system. Of course, few designs were as impressive and as memorable as that of the table created by Michele de Lucchi. 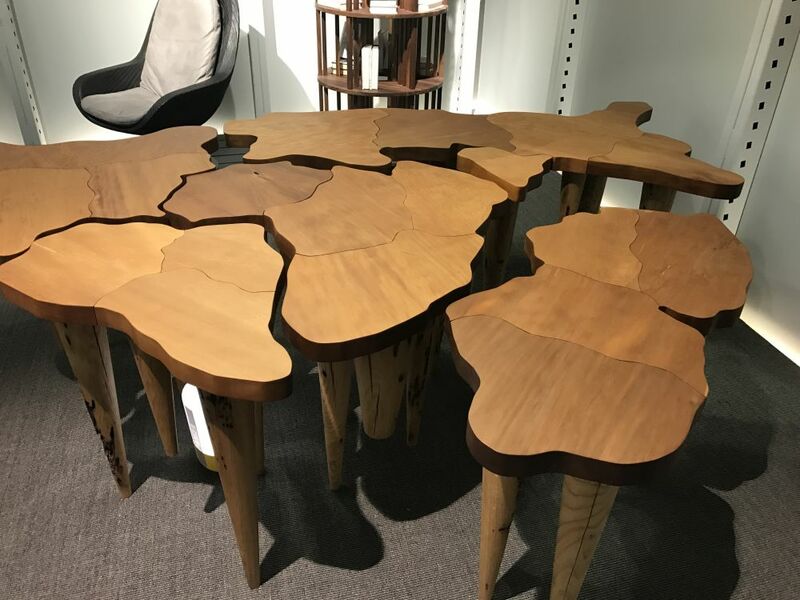 Unlike your typical table, this one doesn’t have a single piece top but is rather a collection of smaller individual modules which come together like puzzle pieces. 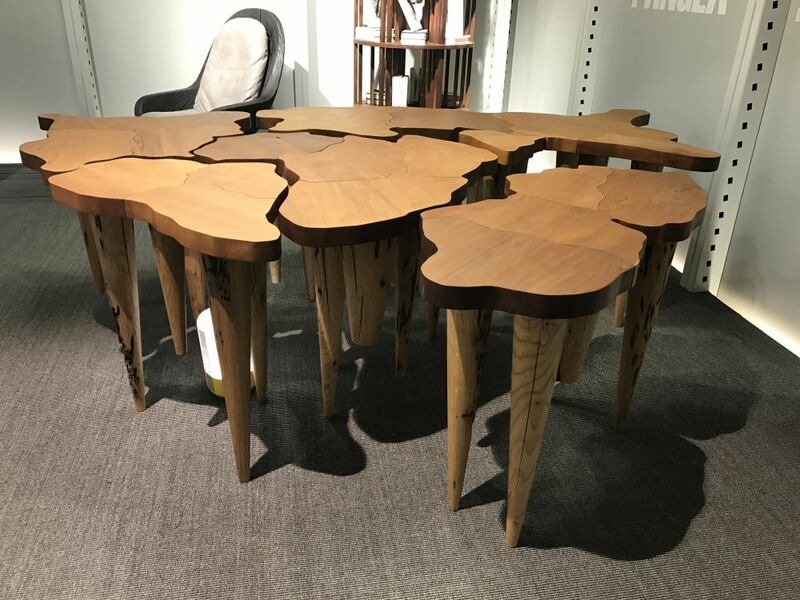 The design is inspired by Pangea, the single large continent that was the original of the world structure as we know it today. In total, the table combines 19 moulded pieces and has 25 conical section legs. The exhibit also showcased quirky accent pieces such as the stools. We were particularly attracted by the unusual form of the base which features a square spring. 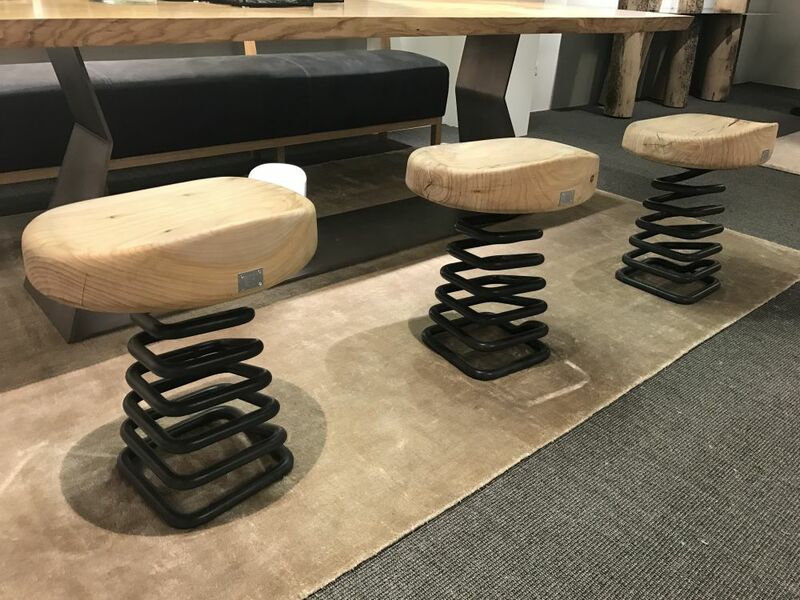 A solid wooden seat is attached to the spring and the user can oscillate in all directions thus enjoying a very unusual form of flexibility, not encountered on typical bar stools or chairs. Lots of modern furniture pieces stand out through strong contrasts and this includes the table designed by Claudio Bellini. 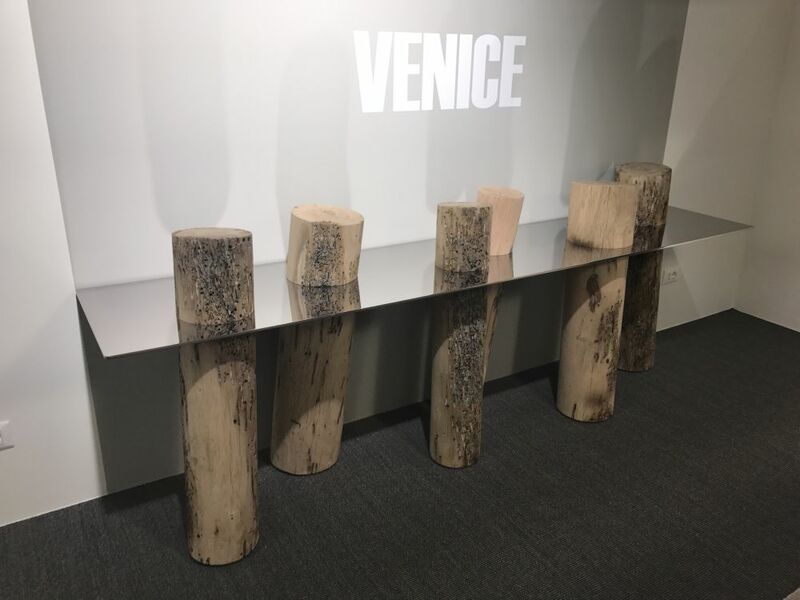 The table featured a thin steel top with a reflective finish supported by a series of six solid wood stumps positioned at different angles. The wood pierces through the steel top, like trees that emerge out of water. We also encountered intriguing accent pieces such as the shields which are difficult to define or place in a category. 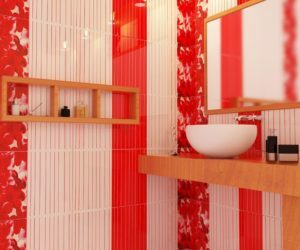 They’re screens designed to look like stylized shrubs and they can be used in a variety of different ways. 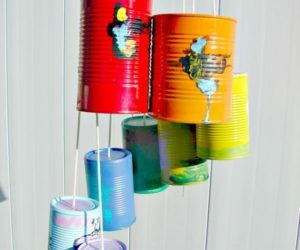 For instance, you can display them on the wall as decorations or you can use them as space dividers. They can offer privacy and they can also serve as decorations. 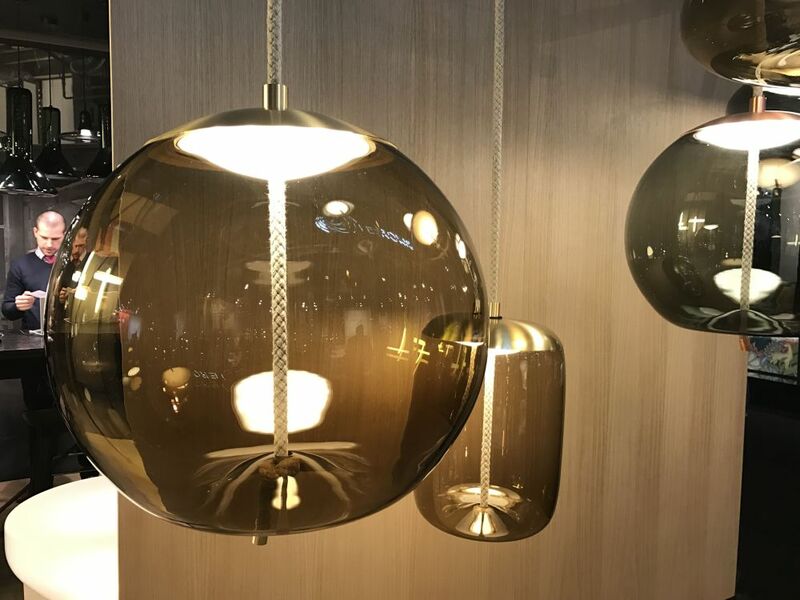 brightened the exhibit with their latest creations in terms of modern lighting fixtures. The pendants displayed here feature simple forms and intriguing combinations of materials and techniques. 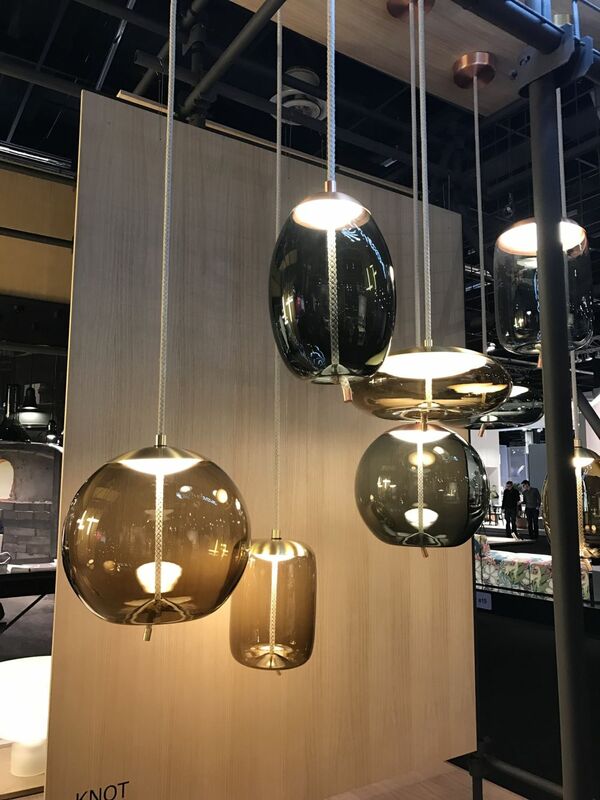 The company is known for the interesting designs that combine hand blown glass with other materials such as wood, metal or even rope. 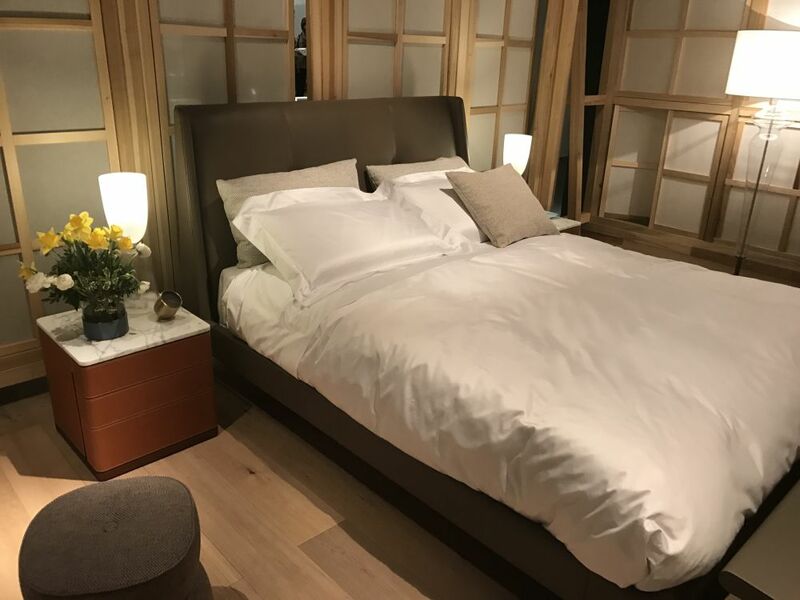 Hulsta introduces us into a world of sophisticated and elegant beauty with a bedroom furniture series defined by simple and elegant lines and designs made of sustainable wood often combined with glass for a lightweight and airy look. 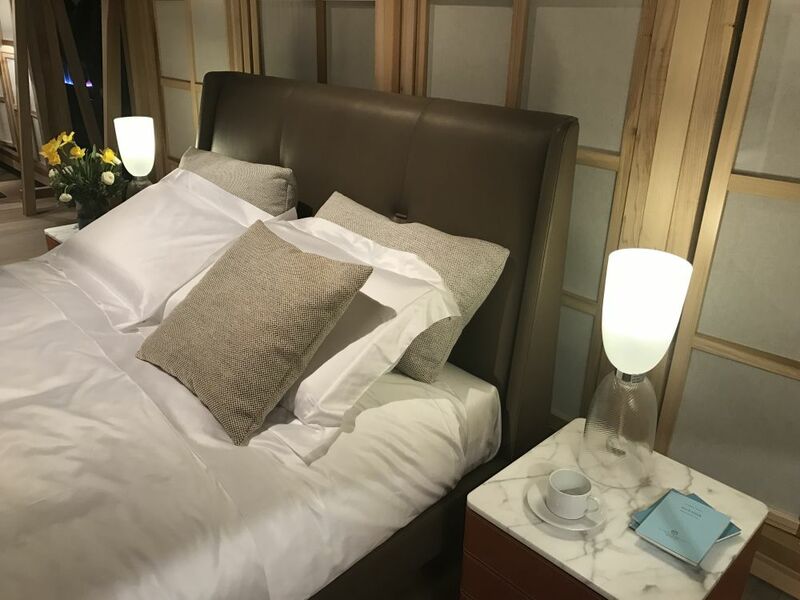 The beds feature minimalist frames which can be combined with two types of headboards, one with a simple wooden construction and one in an upholstered version. The series is well-balanced and a perfect mix of simplicity and sophistication. 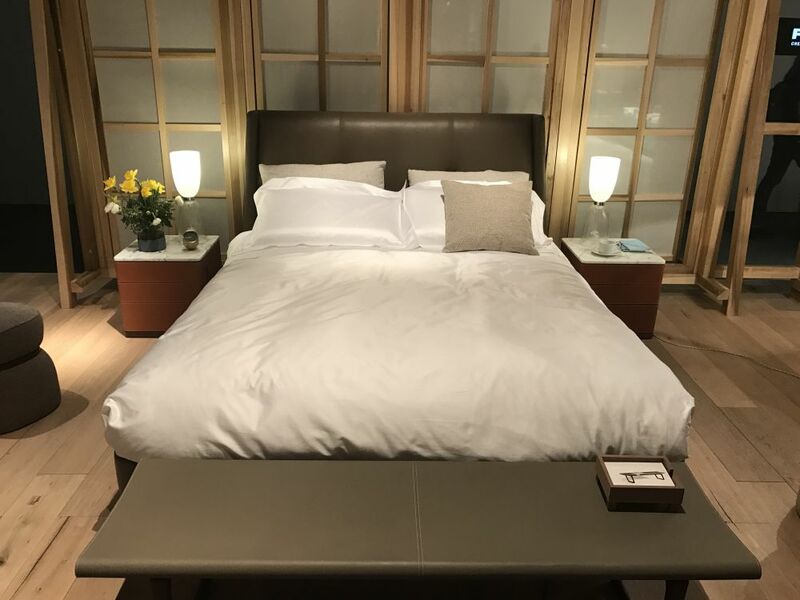 The design of the bed by Roberto Lazzeroni has a very specific character inspired by the style of the 50s. 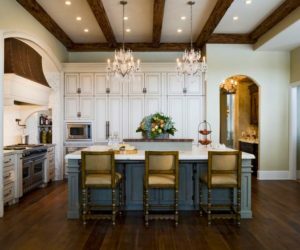 The structure has lean and feminine attributes and the overall aspect is a classical one with a few hints of modern charm. 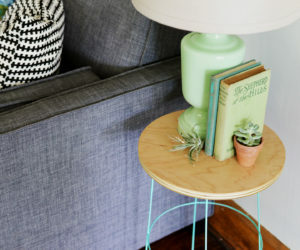 The tapered feet elevate the frame above the floor. They’re covered in leather and have brass caps. 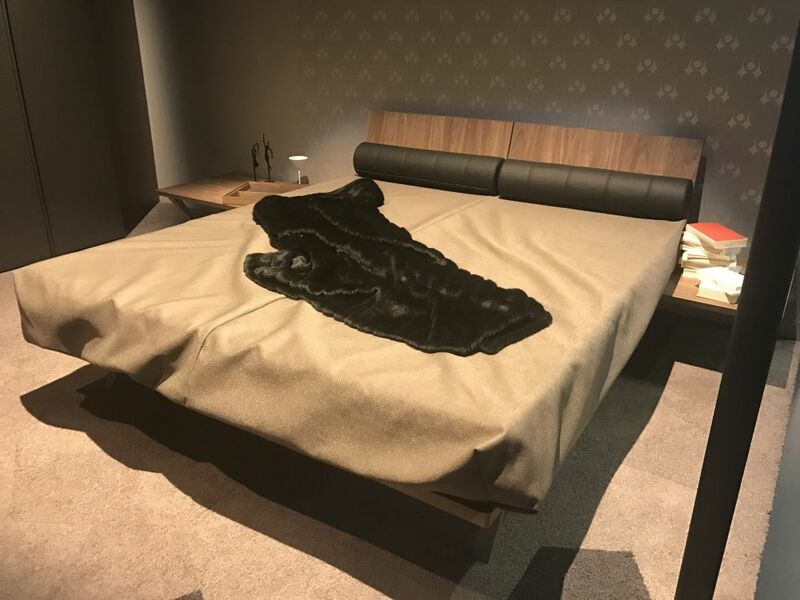 The bed can be paired with a headboard wrapped in quilted leather. 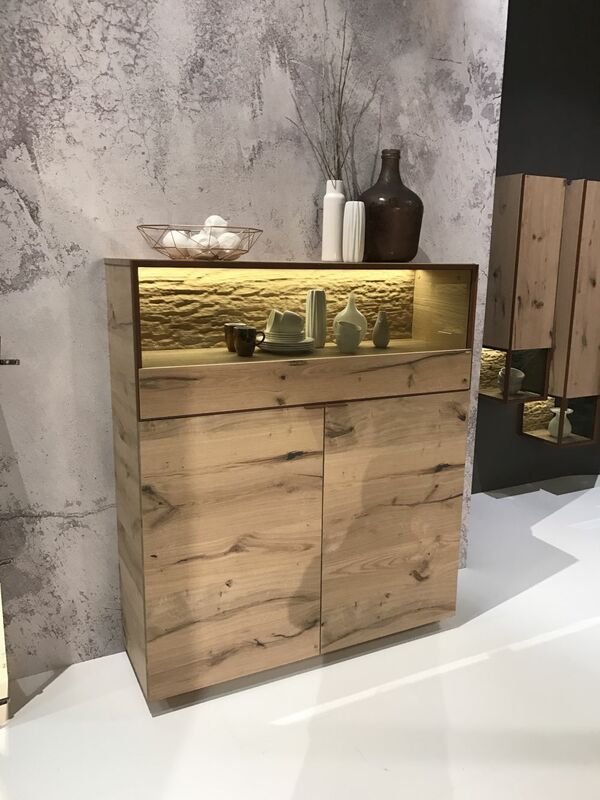 Although it was designed for entryways, the which includes this console table can look exquisite in bedrooms as well as in living rooms or even bathrooms. 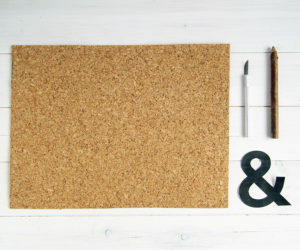 We love its simplicity and the fact that it’s so subtly versatile. 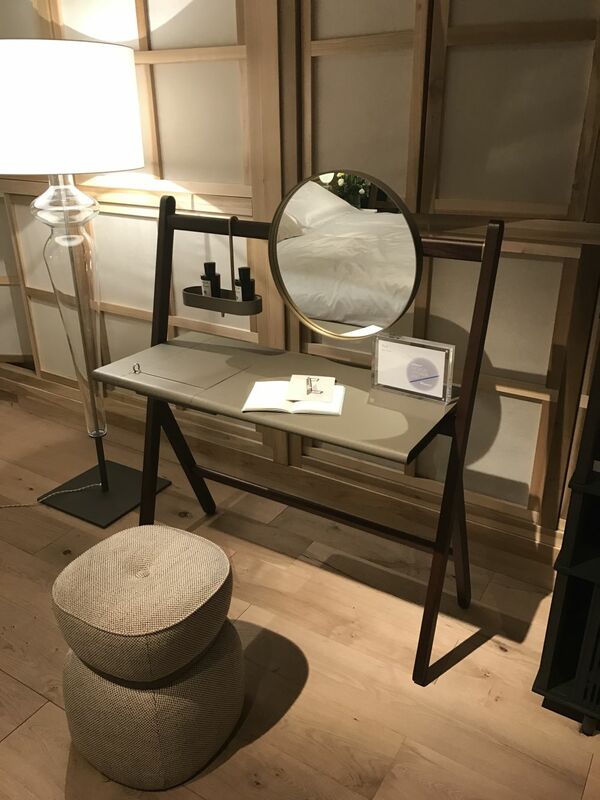 The mirror allows the console to function as a makeup vanity while the hanging tray can be used either for storage or as a display shelf for decorative items. 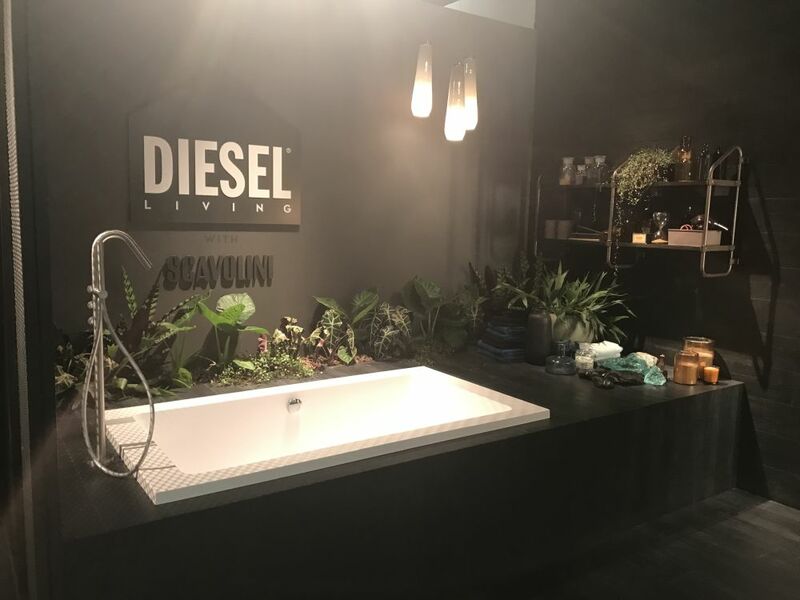 Scavolini and Diesel worked together to create a new collection that attempts to give bathrooms a strong industrial vibe while avoiding rugged forms and textures and focusing more on clean lines, polished surfaces and the harmony between the materials and finishes that define the designs. The collection is called Diesel Open Workshop. 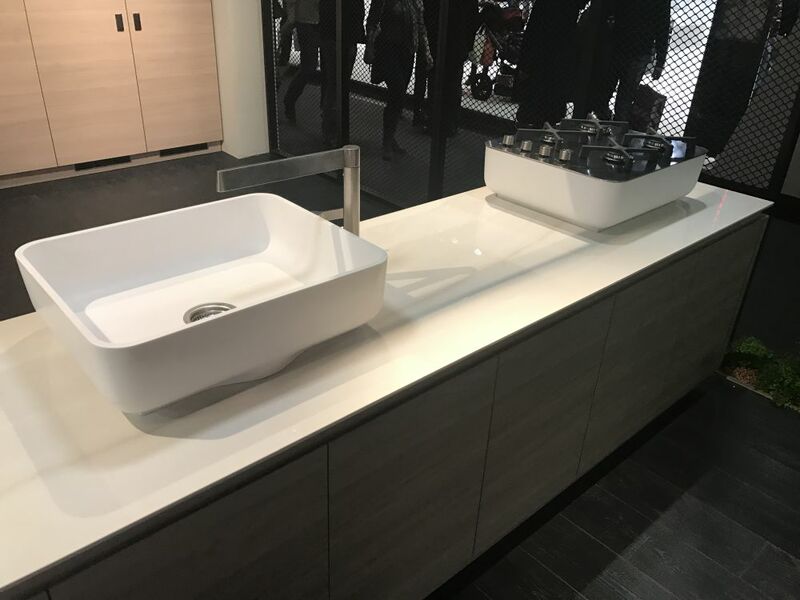 Scavolini also collaborated with Nando to create a new design concept for modern kitchens and bathrooms. 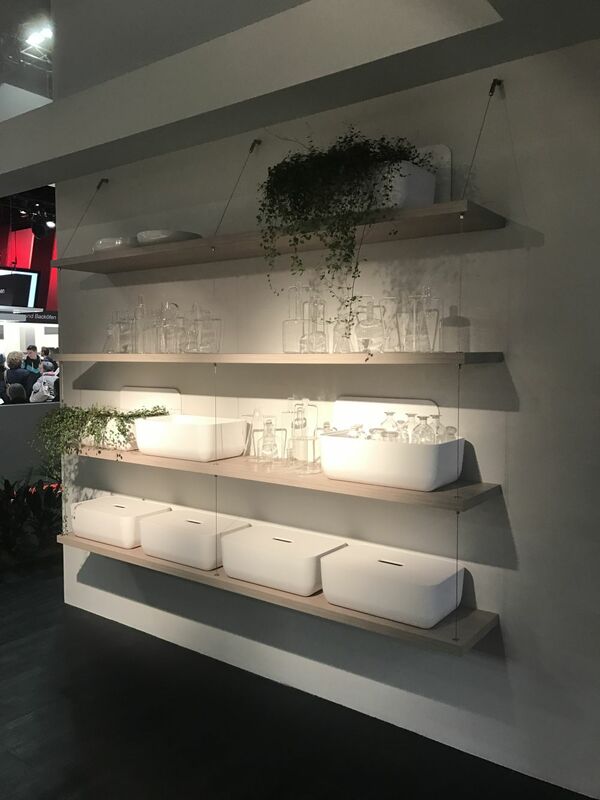 It’s called and it’s a series of vanities, washbasins and shelving units with harmonious and welcoming forms and designs and simple silhouettes that seamlessly introduce geometric shapes into decors meant to look open, airy and sophisticated while also maintaining a functional core. 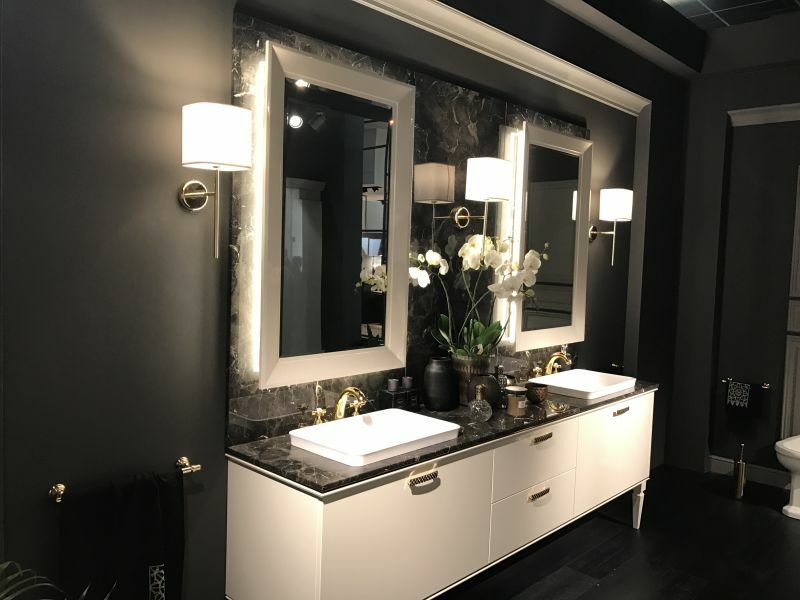 The series aims to transform the bathroom into a sophisticated and prestigious space. 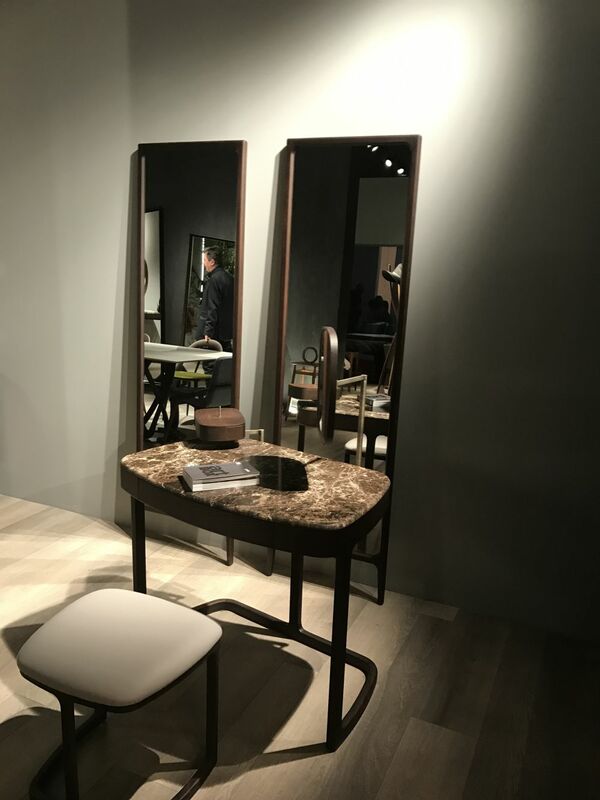 The collection is designed by Gianni Pareschi for Scavolini and it puts together classical and contemporary elements combining them is the most harmonious way. 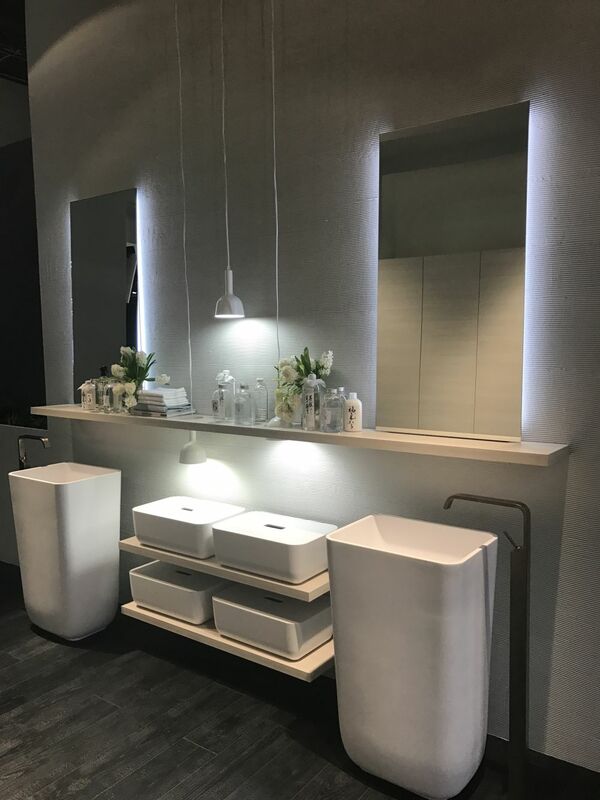 This exclusive series reinterprets a classical design giving it a contemporary allure and eliminating the barrier between comfort and style. 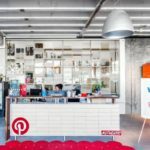 Modern offices don’t need to concern themselves with the lack of space. Designers such as Florence Watine offer a variety of wonderful furnishings with space-saving capabilities. 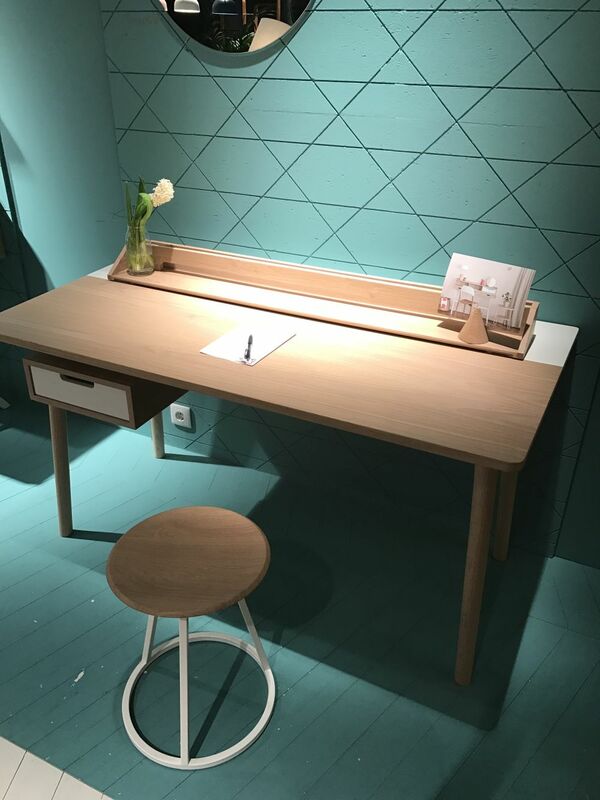 is a wall-mounted secretary desk that we encountered at IMM Cologne this January. 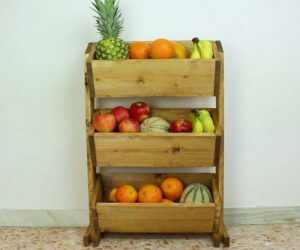 It has a solid MDF construction and a design that’s both simple and very functional and versatile. It has a very compact structure, generous storage compartments and a fold-down work surface for laptops. There’s even a clever niche for the cables at the back. 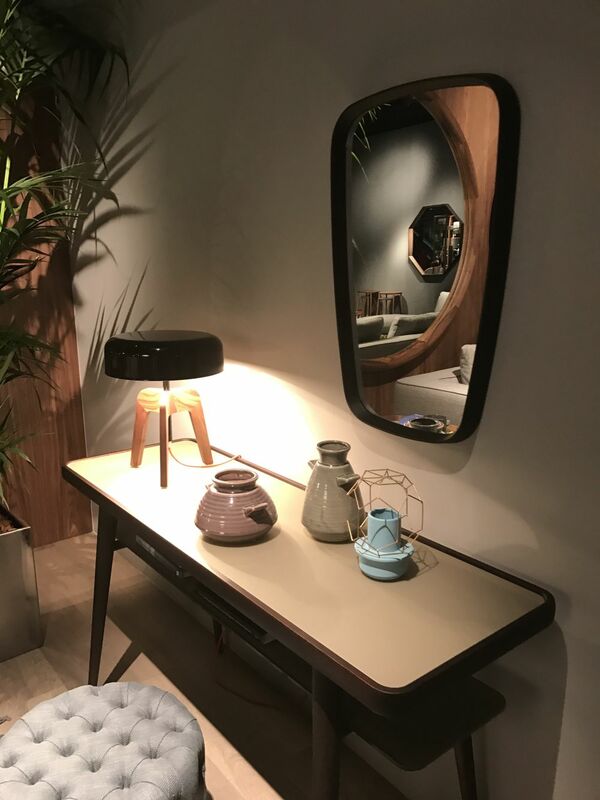 The desk is another pieces that blends old-school elegance with the minimalism that defines most contemporary furnishings. 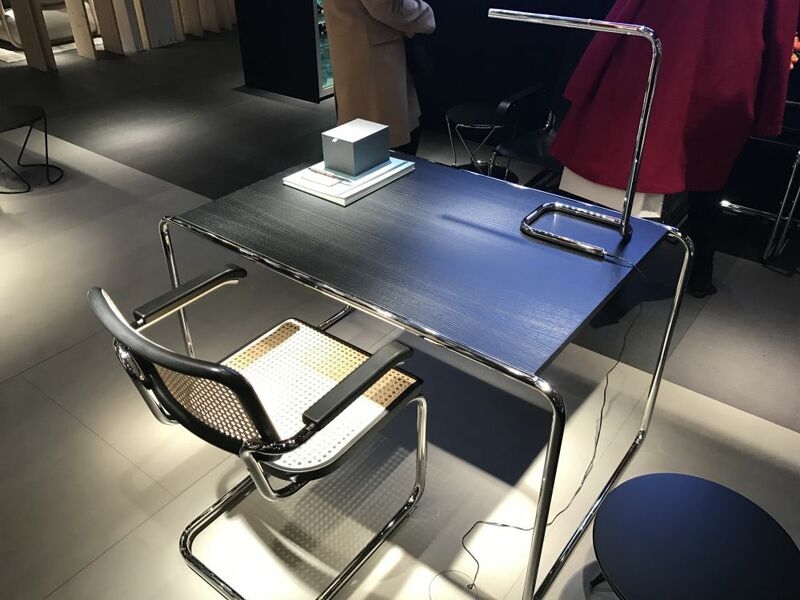 The workspace offered by this desk is compact and very comfortable thanks to the soft curves of the top and the thin metal edges that wrap around the back and sides. 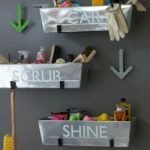 They prevent objects from falling off and this makes it easier to maintain a clean and organized work surface. 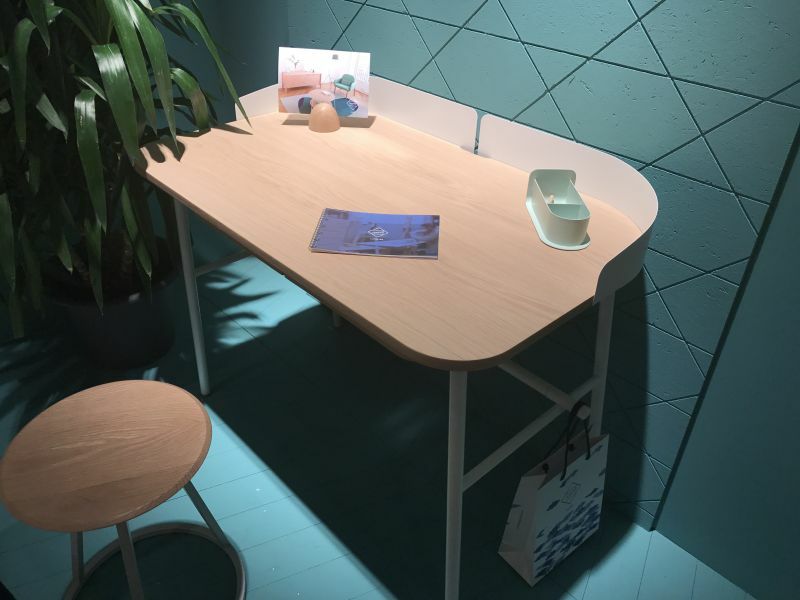 The idea behind the desk designed by Pierre-Francois was to create a workspace that can be functional, comfortable and space-efficient without looking cluttered or overwhelmed by too many features. The desk has a clever and efficient cable-management system that hides the cords and chargers and keeps the top clutter-free and well organized. 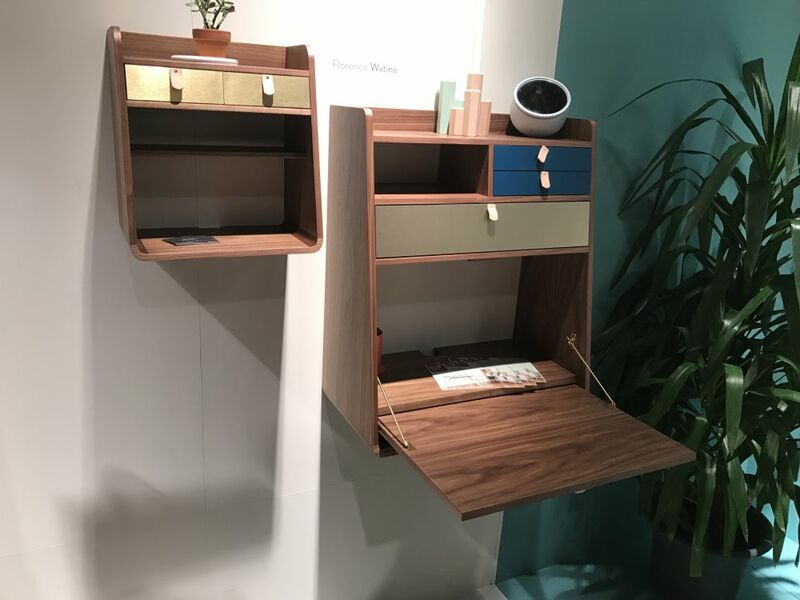 The designs exhibited by Harto are focused on reviving the elegance of the secretary desk. The desk is a gorgeous example. Its design is simple and versatile enough to look elegant in a variety of decors, be they modern or traditional. The design is a mixture of classical and modern features, the end result with a compact, functional and beautiful piece for the office. 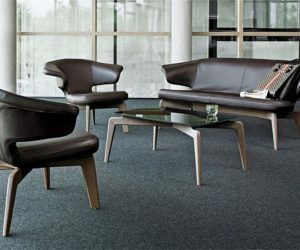 The event also covered office furniture that exploits the minimalist side of modern design. 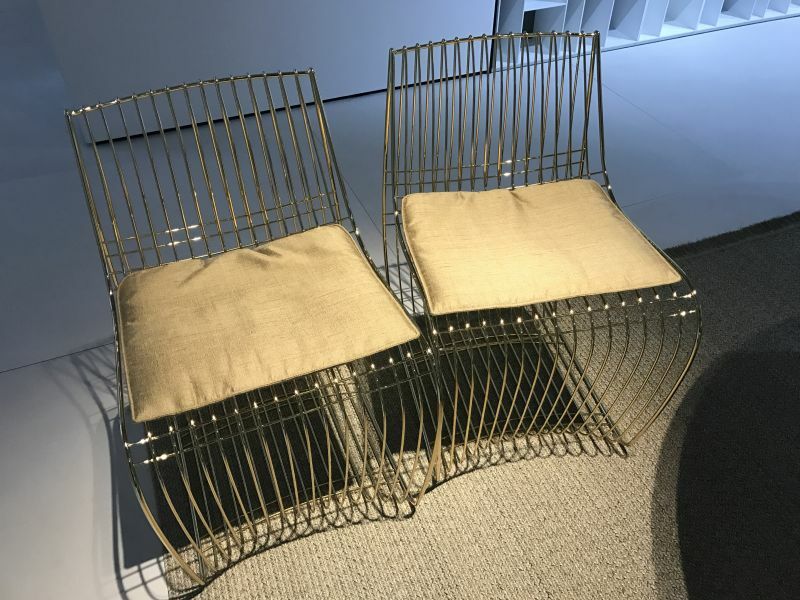 One such example is the from Thonet Design Team. It’s easy to picture this desk in a lot of contemporary settings. 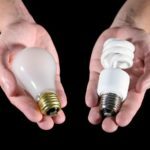 What’s surprising, however, is the fact that the design dates back to 1930 when it was first presented in the company’s catalogue. It made a surprising comeback this year when it became once again the star of the series, being presented with a matching office chair. 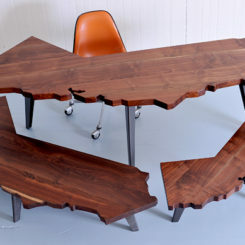 It’s difficult to capture the essence of this desk’s design in just a few works. 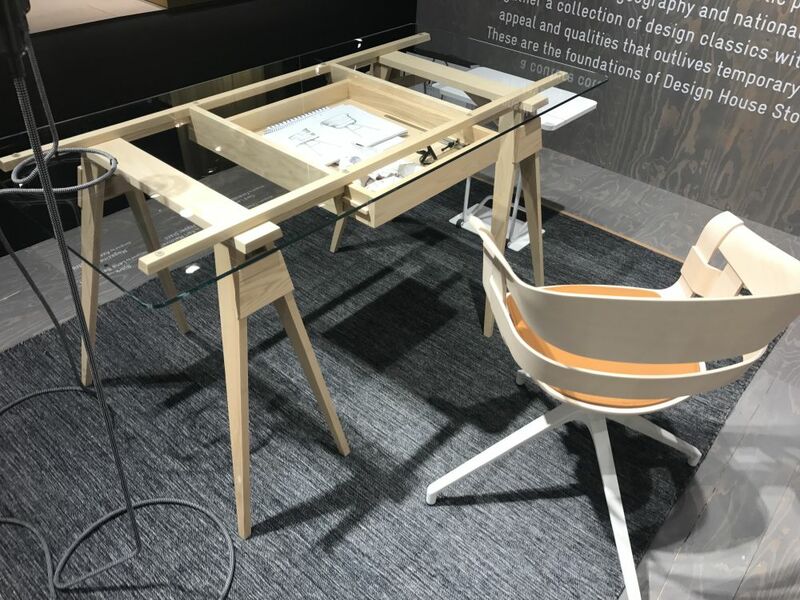 The desk is the creation of designer Chuck Mack and it has a structure supported on trestles and with a glass worktop which doesn’t even attempt to hide the contents of the drawer beneath. 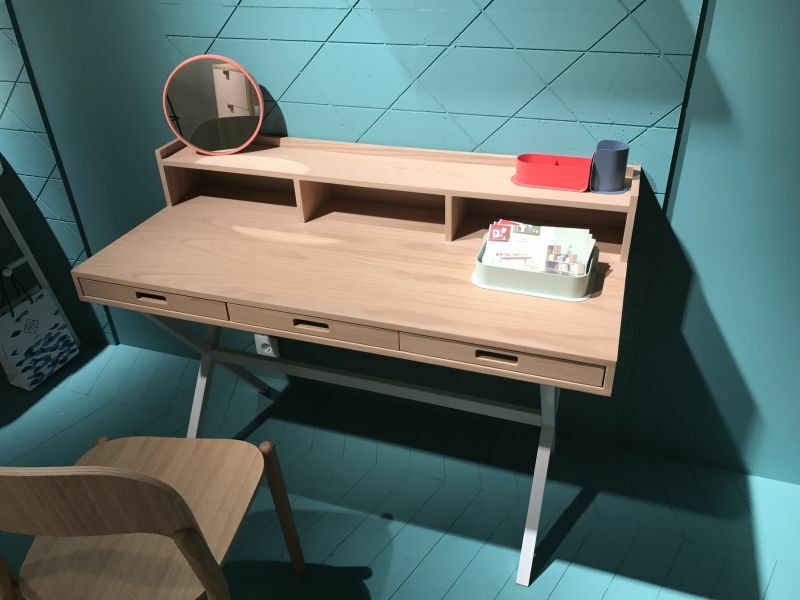 The desk was named and has some really nice and well thought-through details such as the fact that the drawer can be accessed from both sides and that the table has smooth rounded edges. Although not specifically designed for offices, the has the ideal characteristics for such a space. The high back and sides form a shell around the seat, offering the user privacy and intimacy. 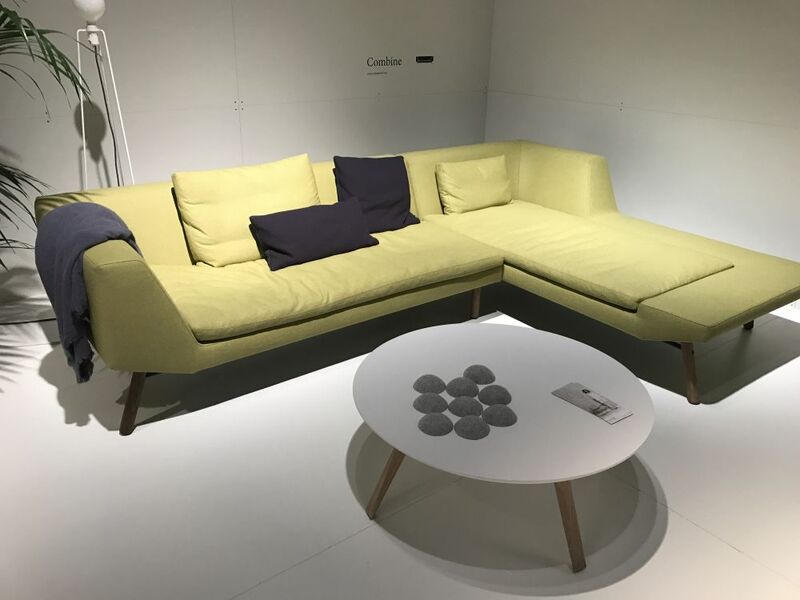 This makes the series a good suit for large open spaces, allowing the configuration or semi-private conversation nooks or relaxation spaces.